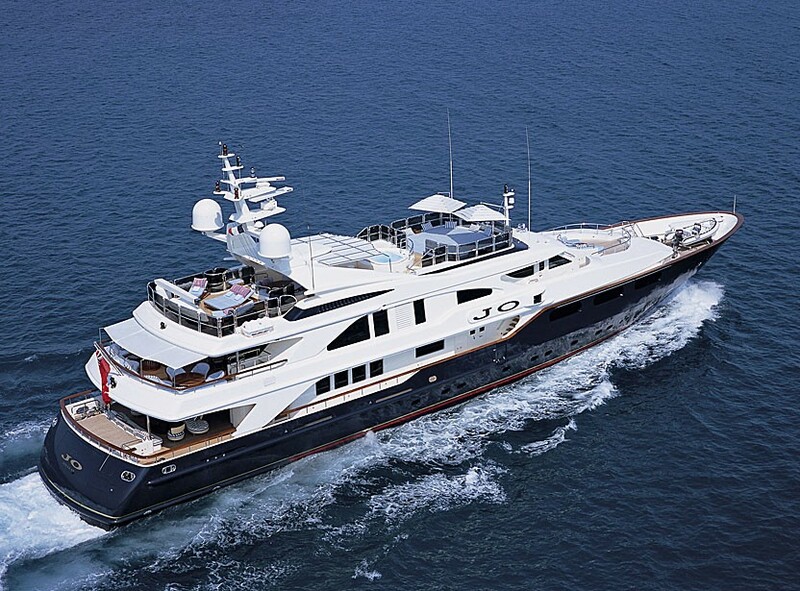 Luxury motor yacht ‘JO’ was launched by the well known Benetti Shipyard in Italy with exterior styling by Stefano Natucci. 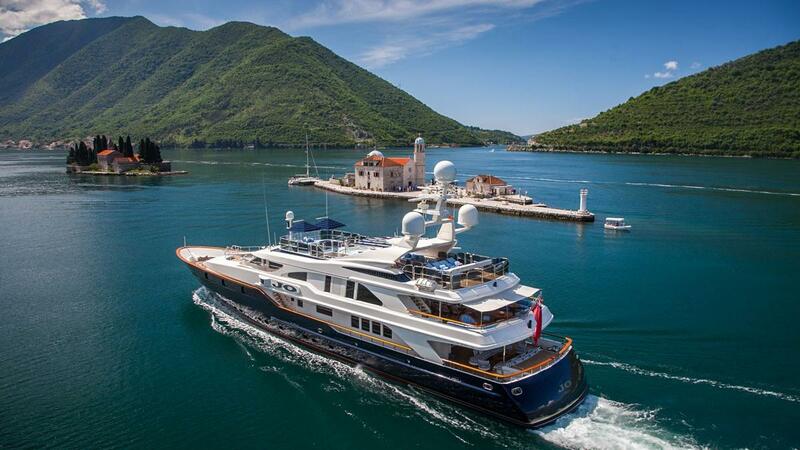 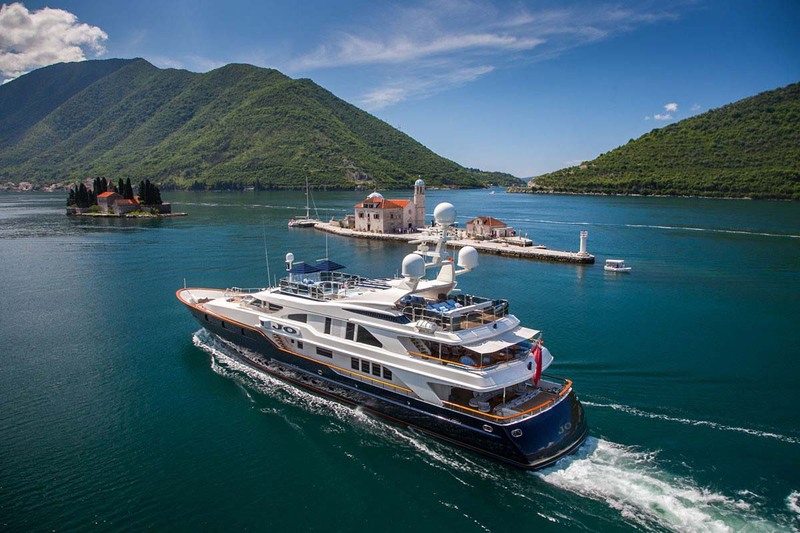 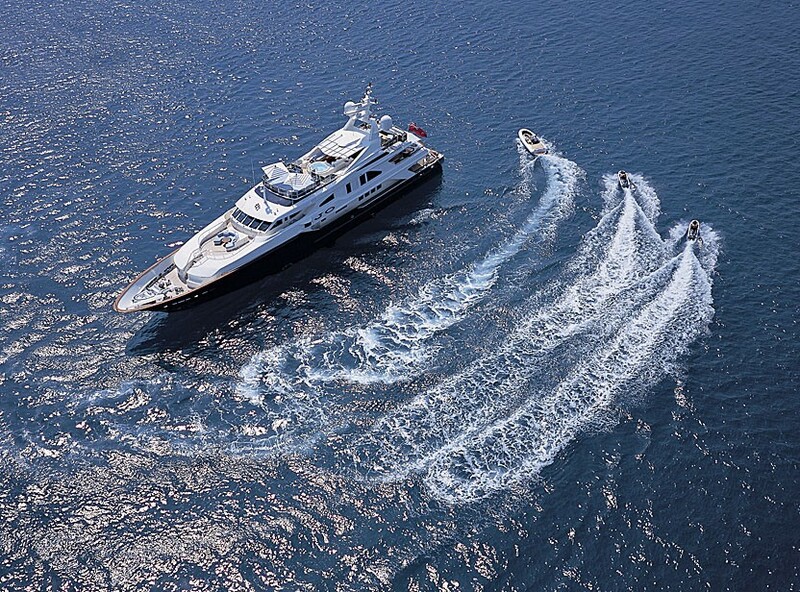 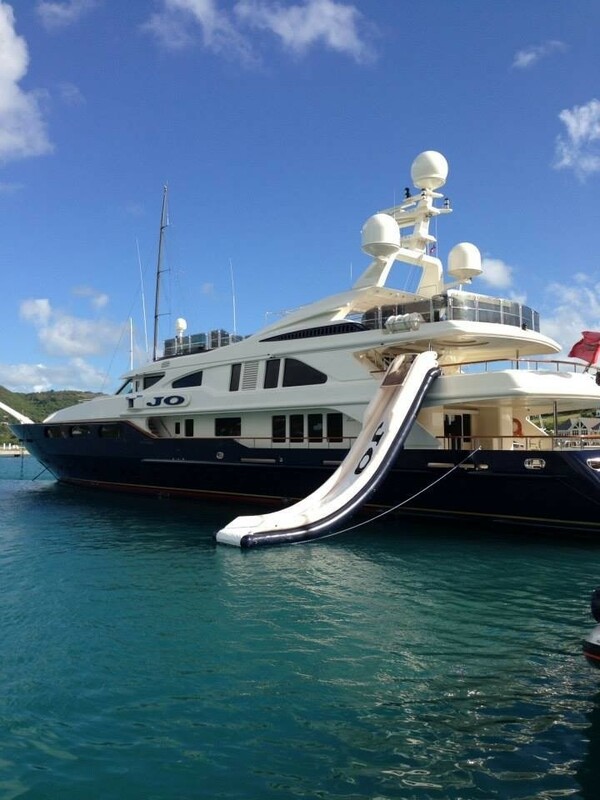 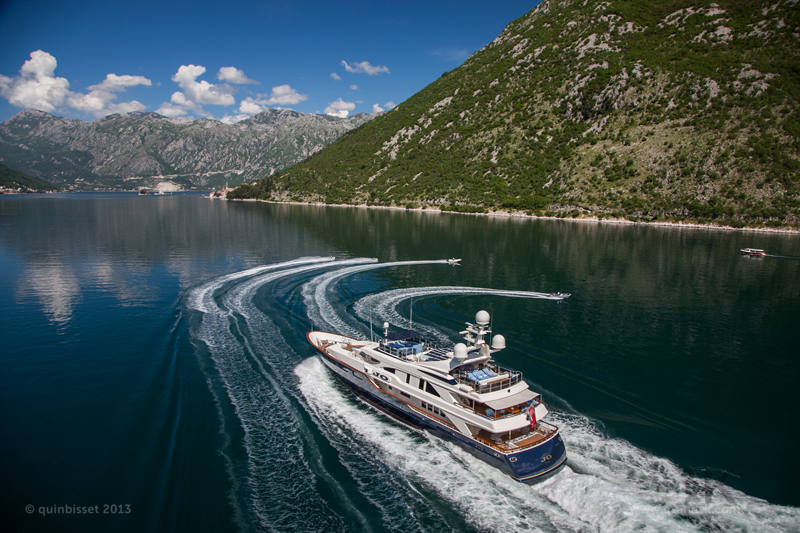 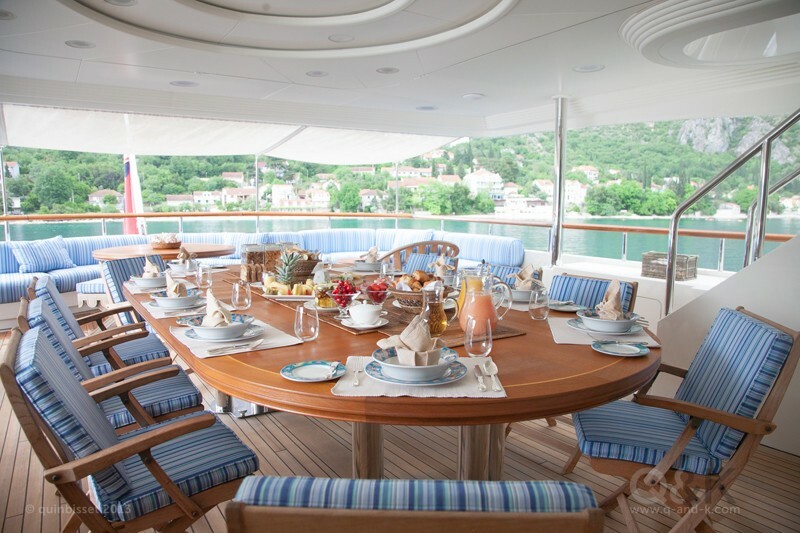 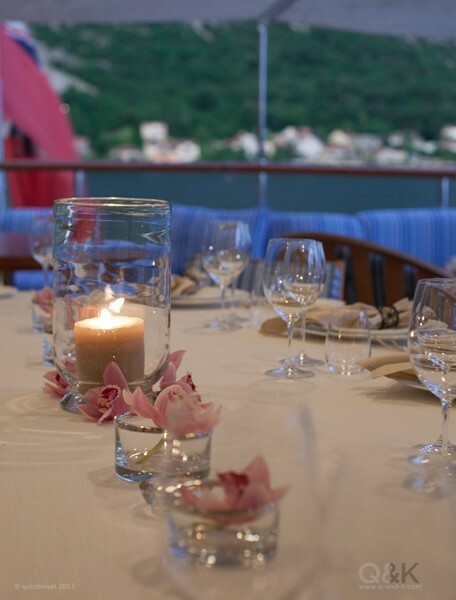 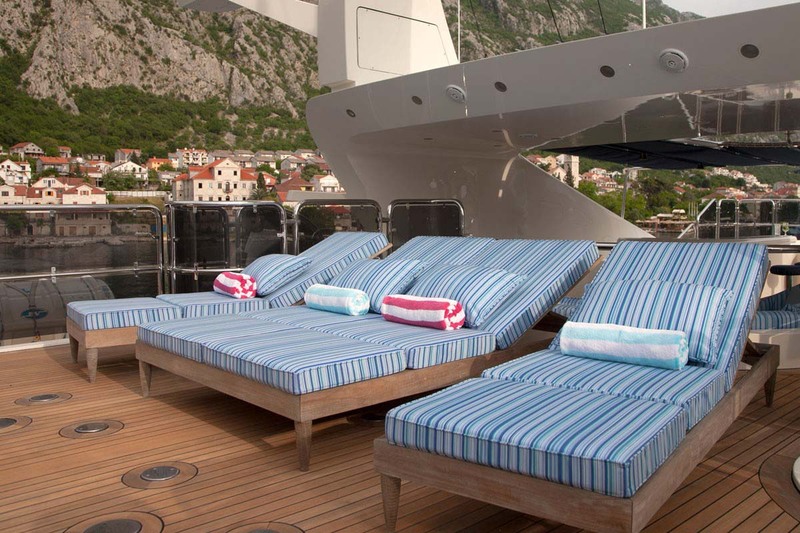 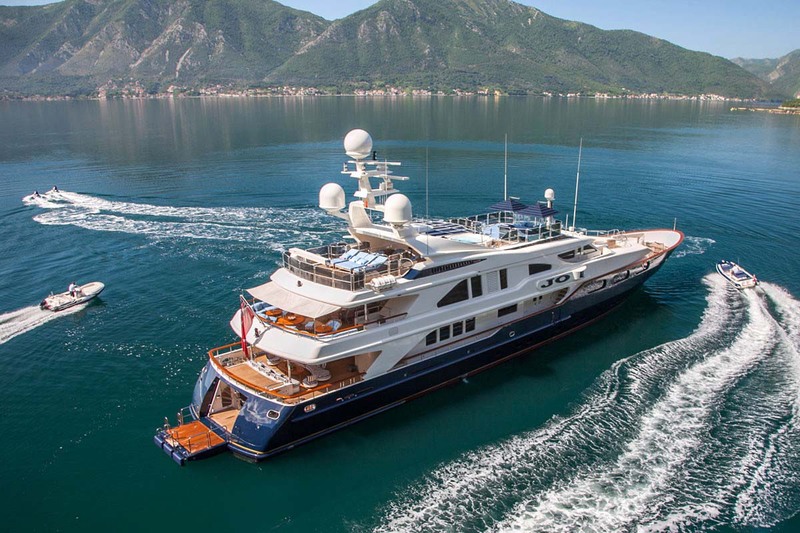 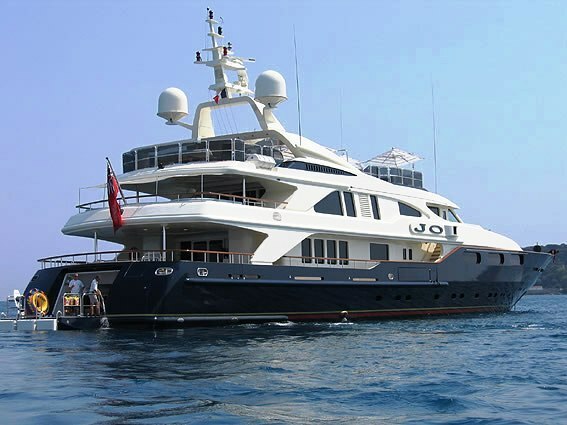 M/Y Jo is offered for select charters in the Mediterranean summer and the Caribbean winter for up to 12 guests. 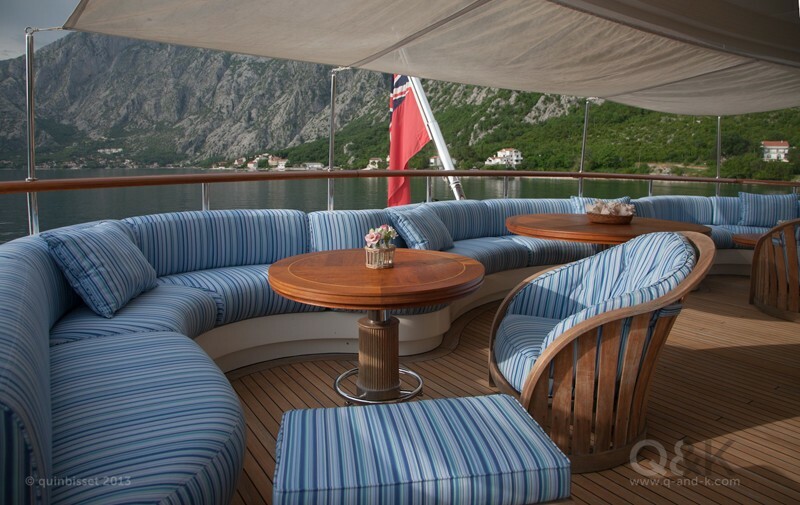 Jo features versatile interior and exterior areas which combine a comfort with understated relaxation. 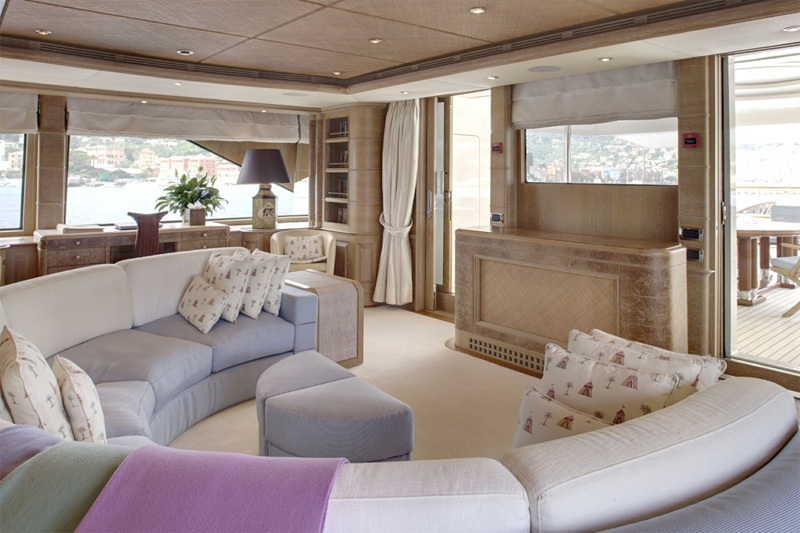 Her interior was designed by François Zuretti using natural cherry wood and oak with a distinctive choice of fabrics. 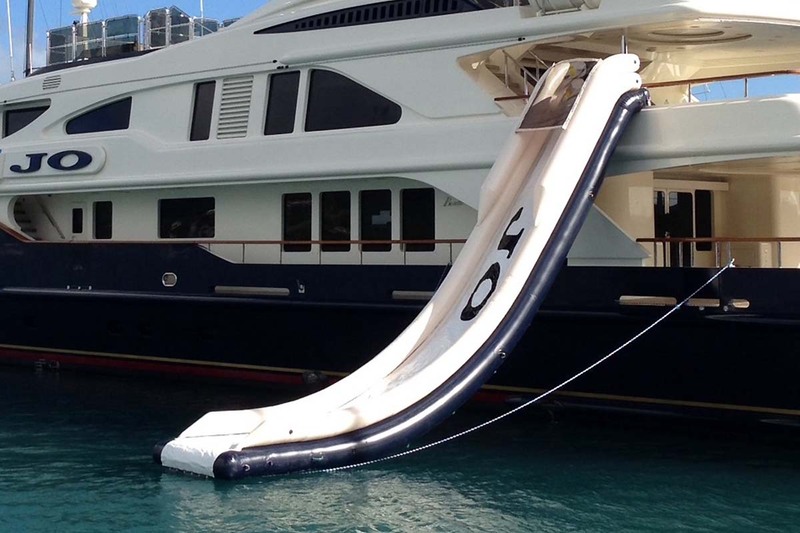 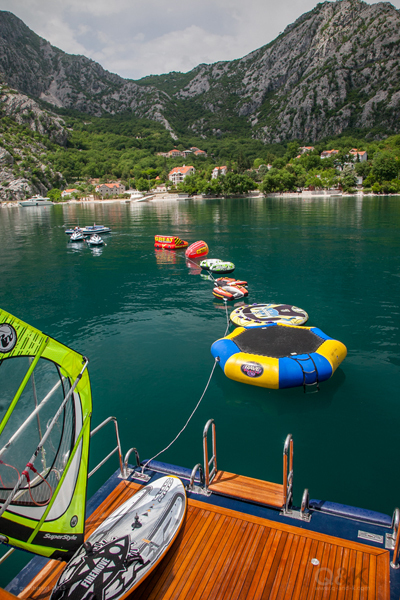 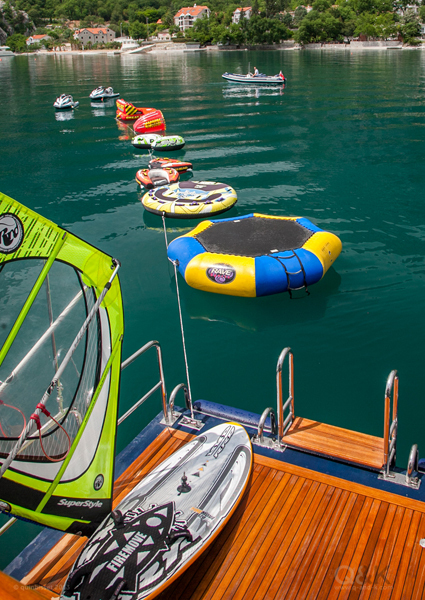 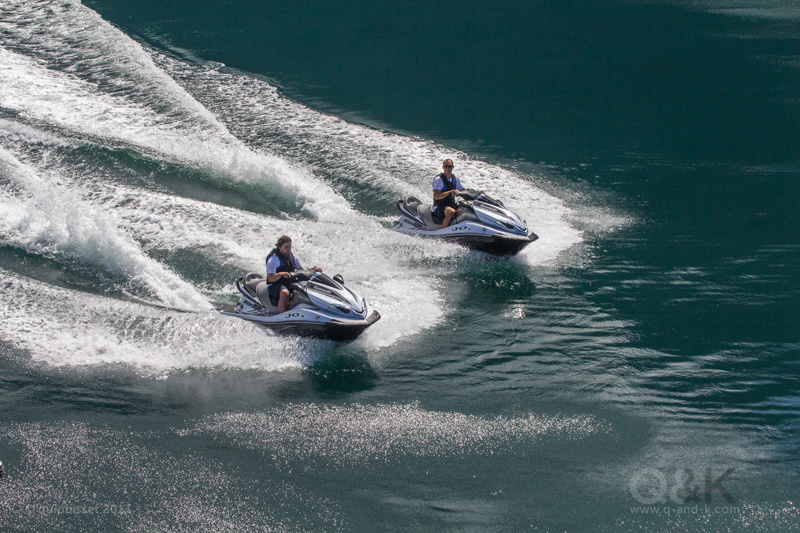 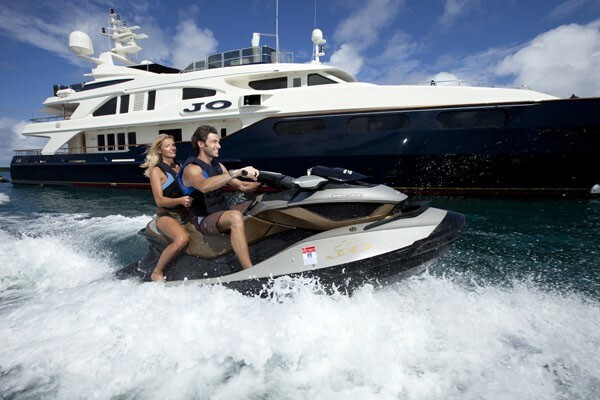 Water sports are a priority aboard Jo and she offers a unique choice of entertainment equipment and water toys. 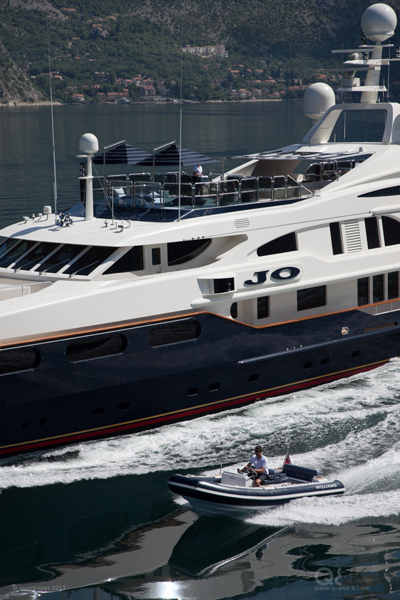 With a dark blue hull color Jo is a refined version of the six Golden Bay Benetti series of steel yachts. 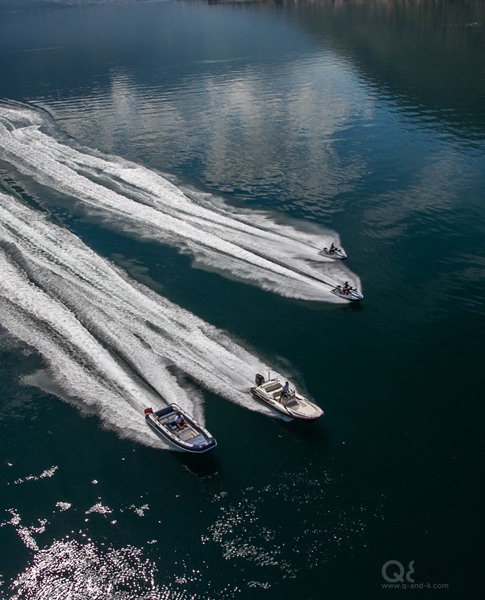 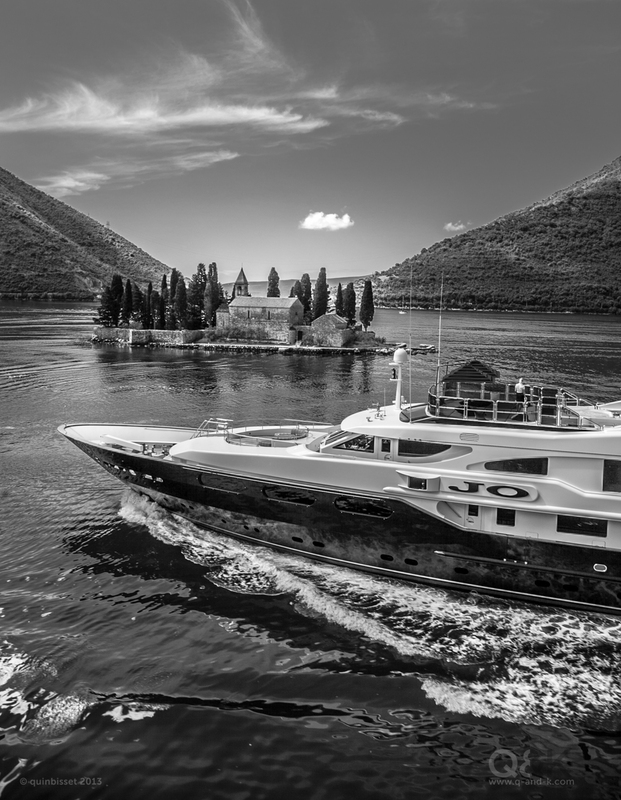 Luxury M/Y JO has been designed, built and equipped to and uncompromisingly high standard. 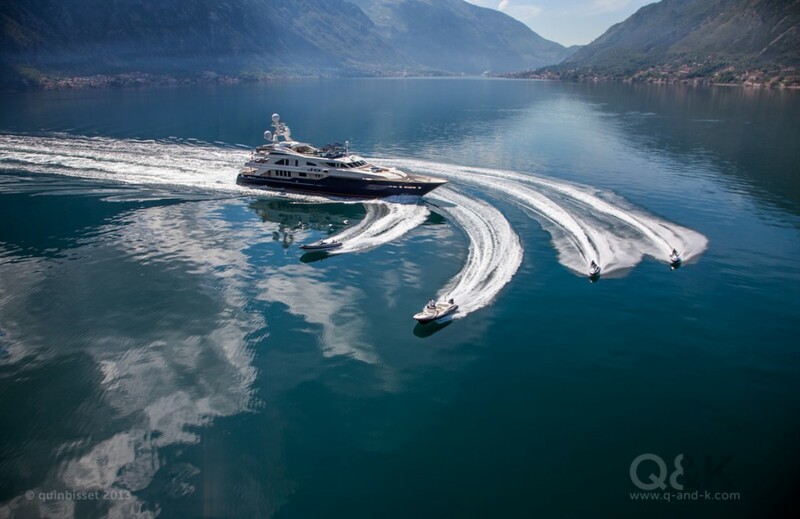 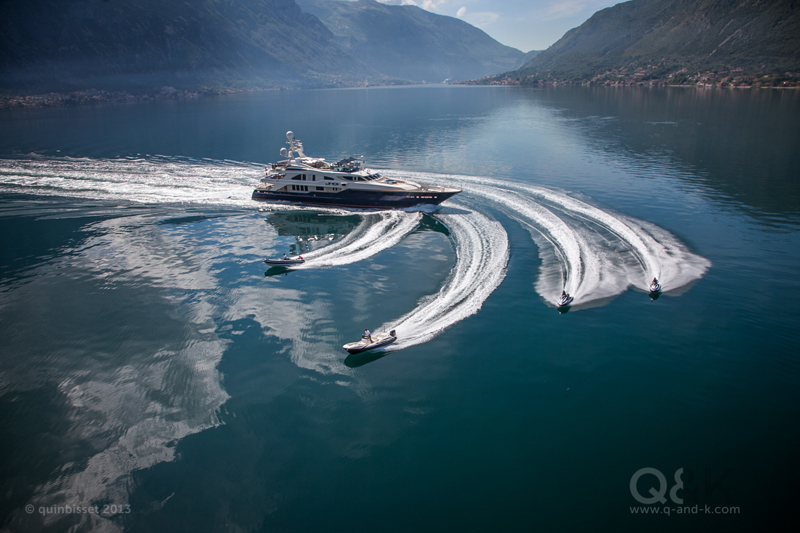 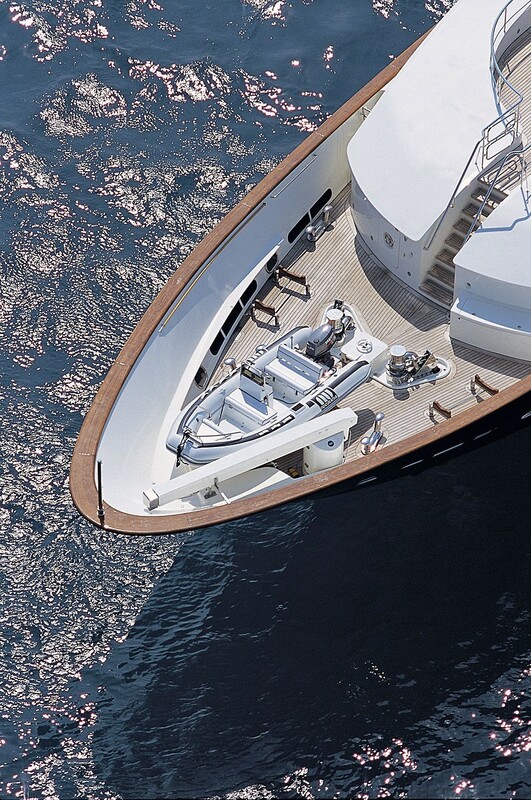 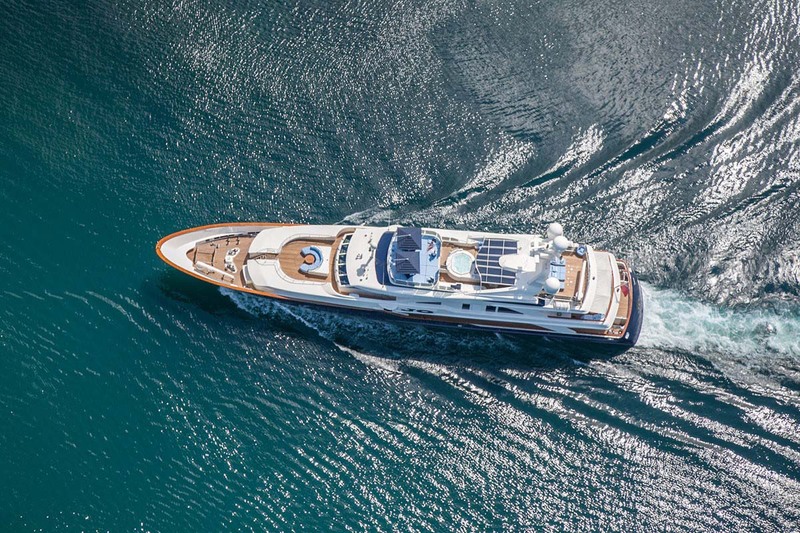 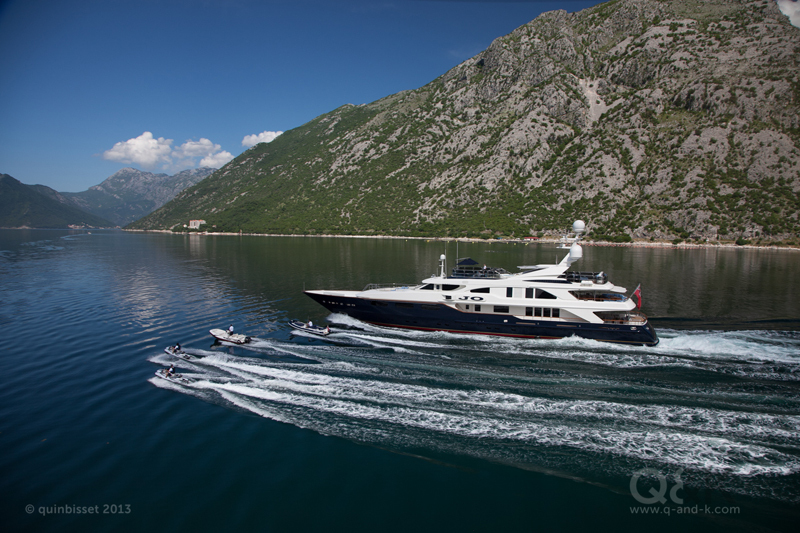 She is a sleek, powerful and modern superyacht with a classic interior, spacious decks and a wide range of activities. 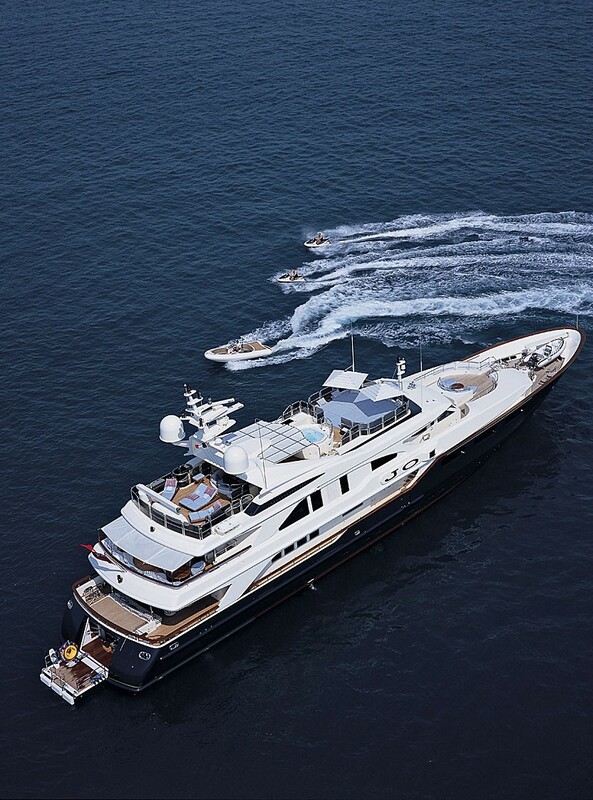 The yacht has been crowned 'Best Family Luxury Charter Yacht' by SuperYachtWorld. 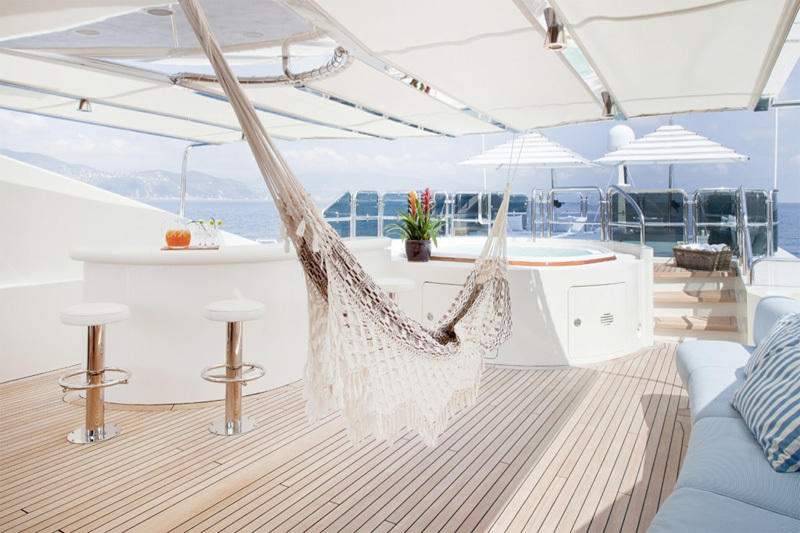 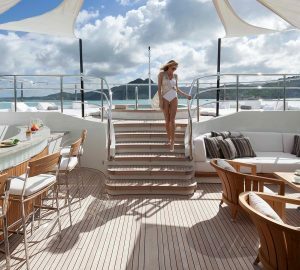 The yacht has spacious reception areas and deck spaces which create easy and comfortable living coupled with stylish entertaining at sea or in port. 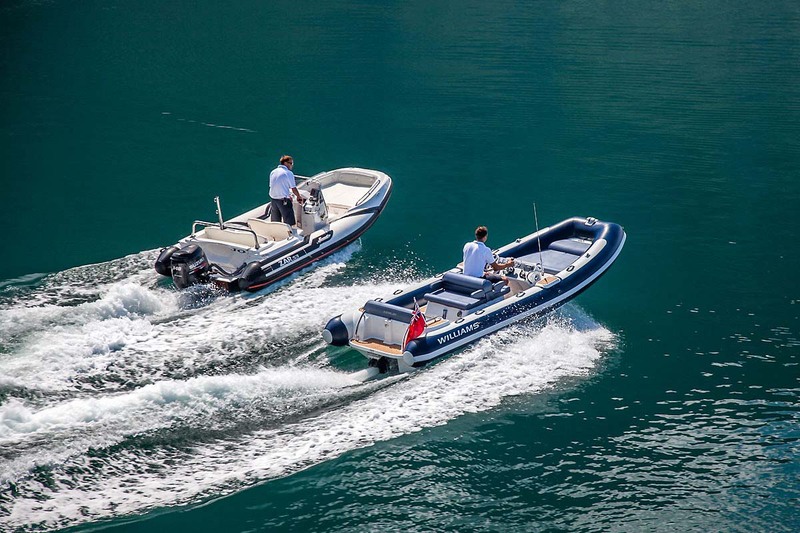 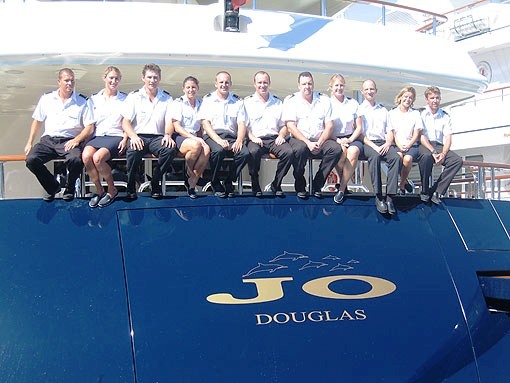 Luxury motor yacht Jo has a friendly and professional crew ready to show you a first rate Mediterranean or Caribbean yacht charter. 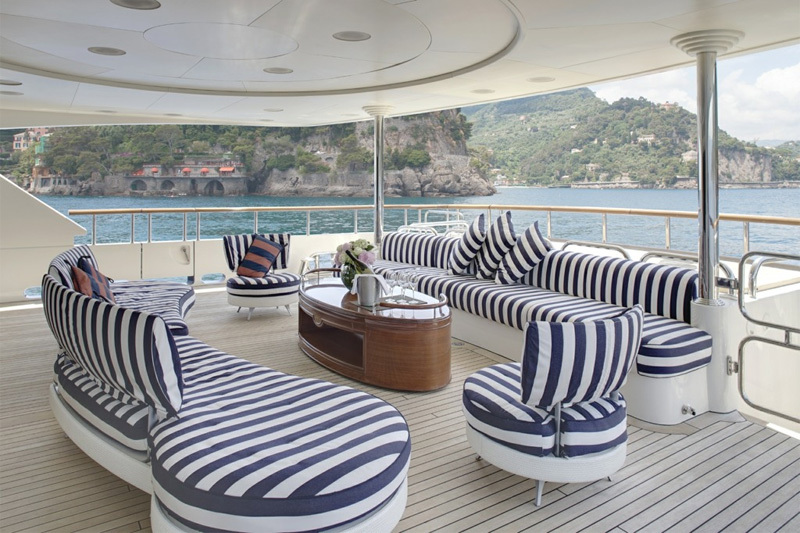 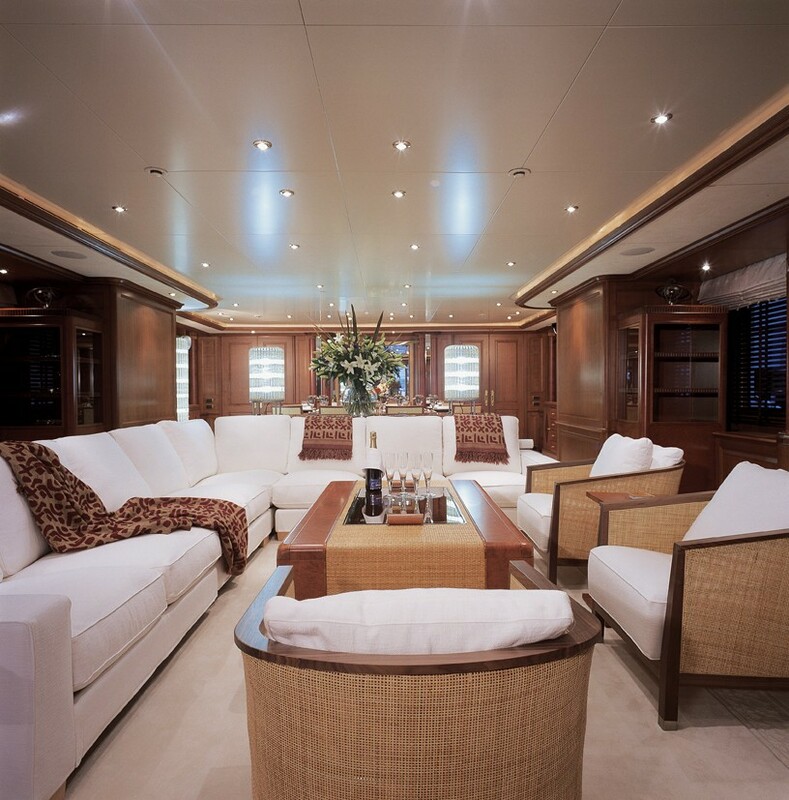 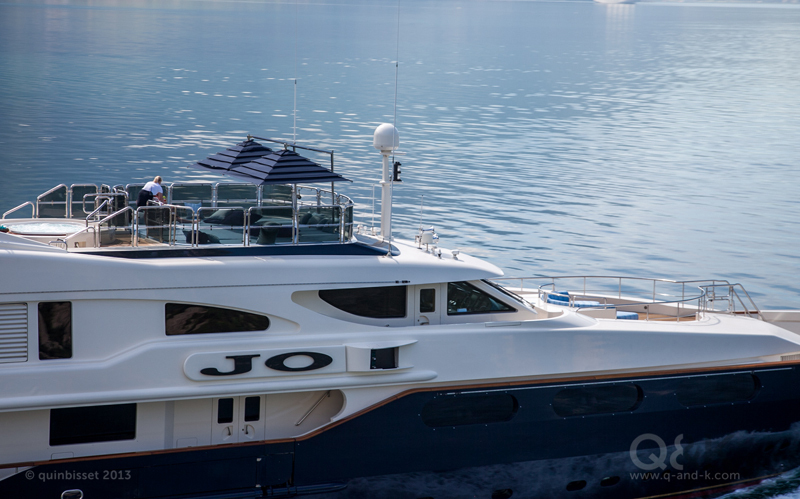 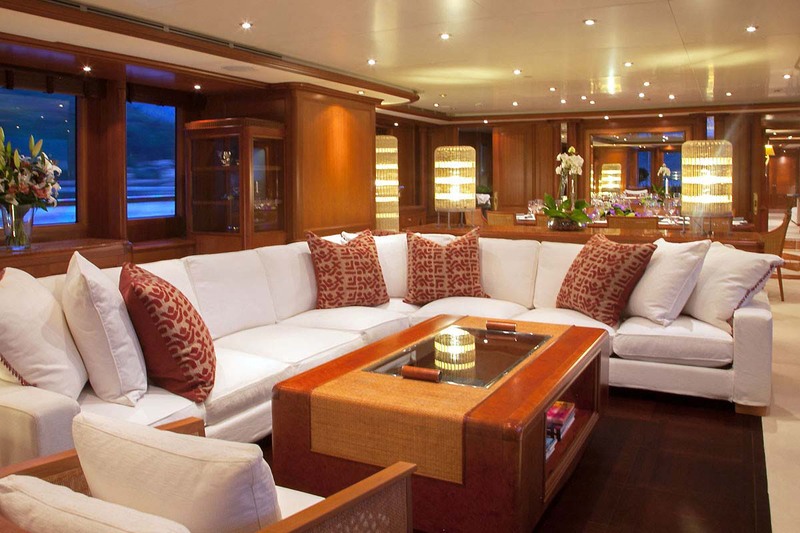 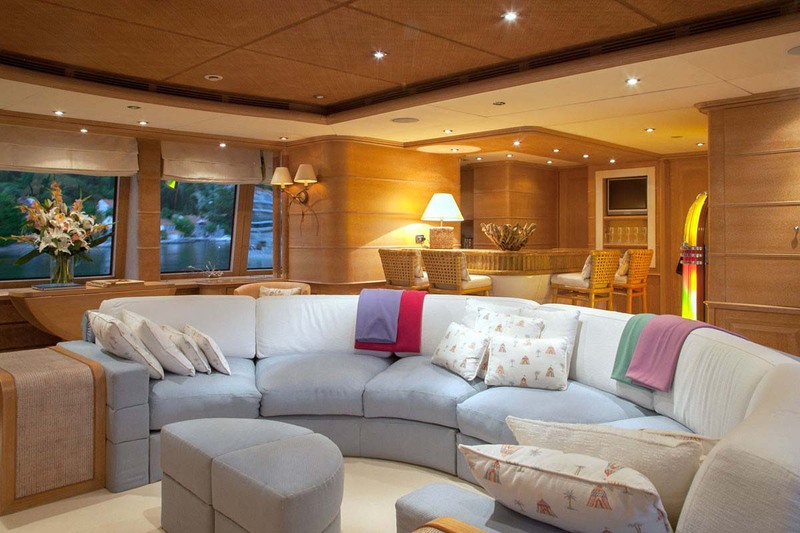 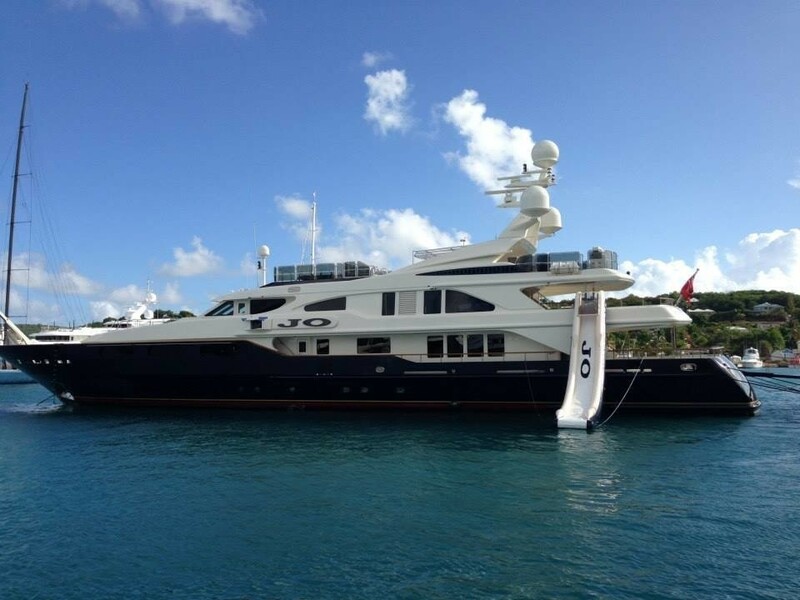 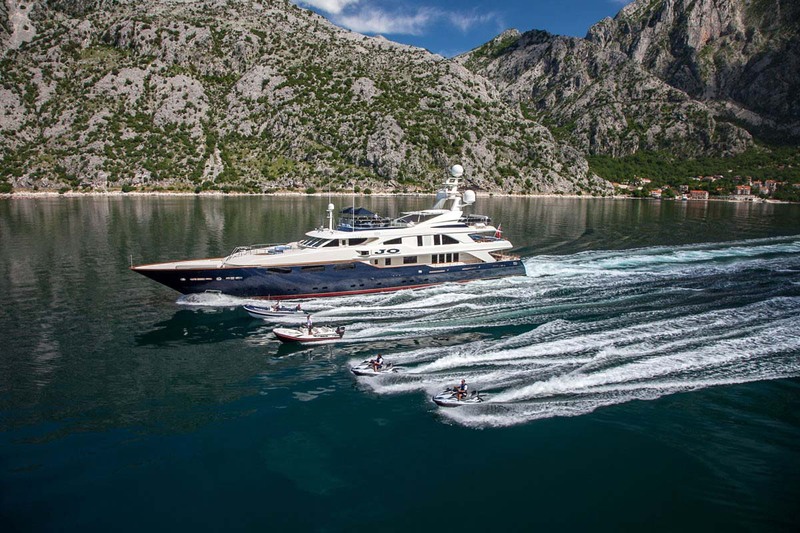 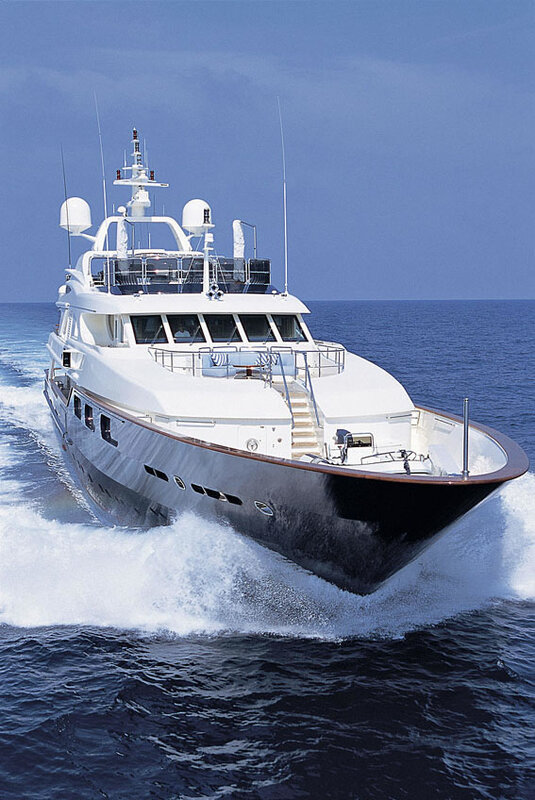 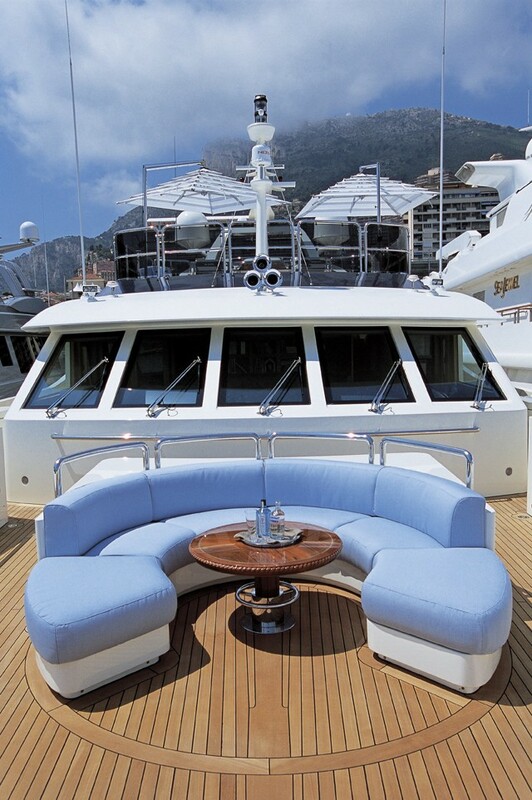 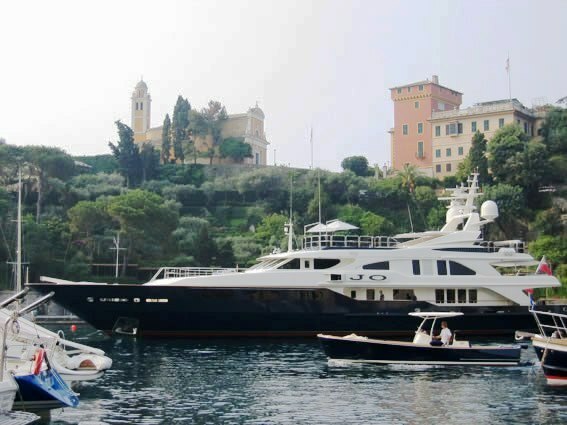 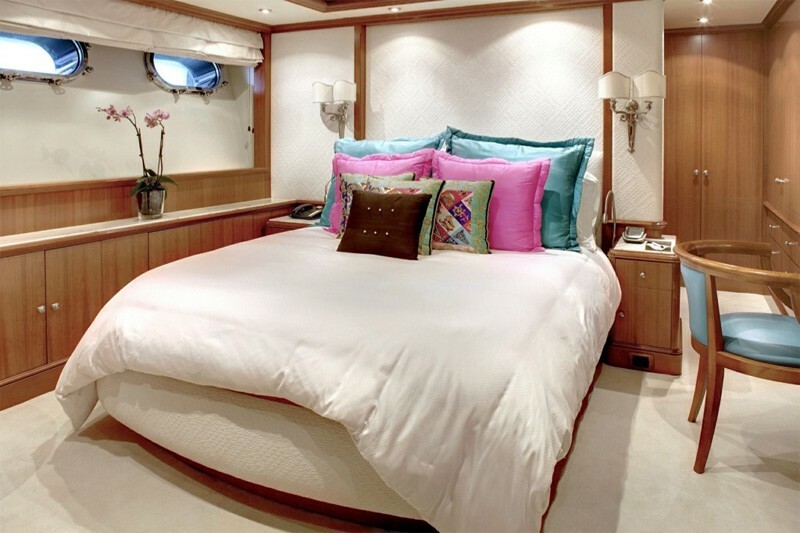 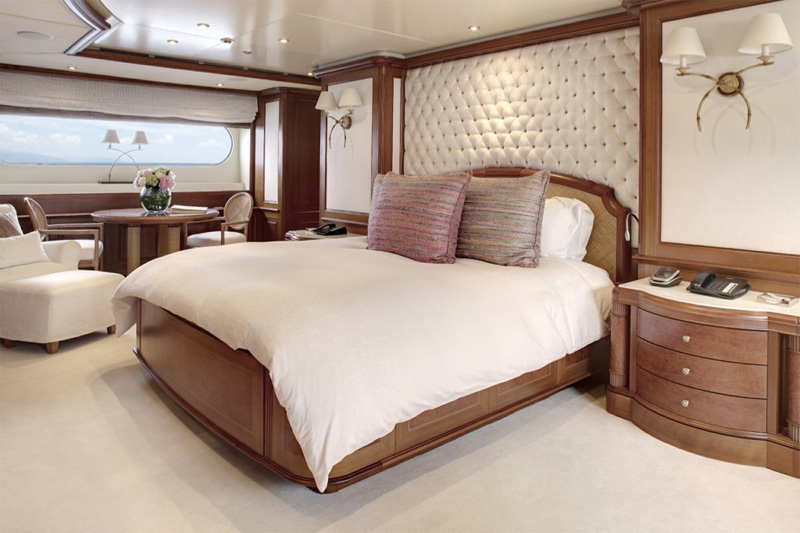 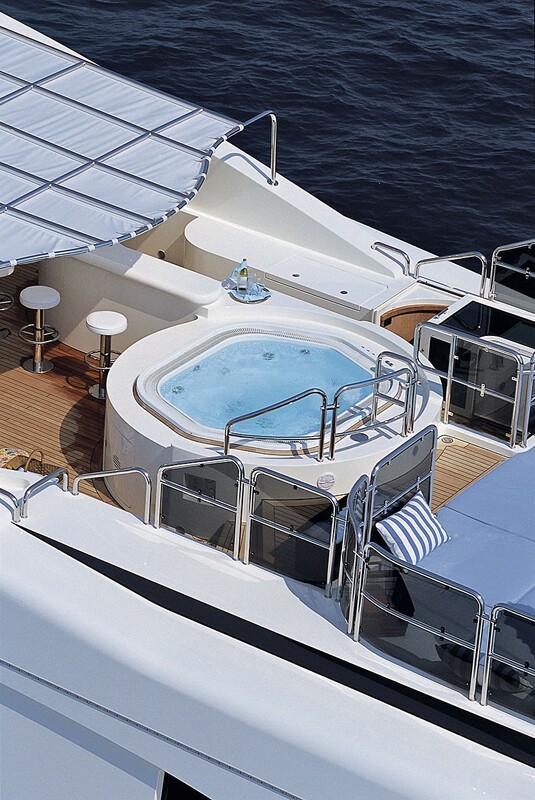 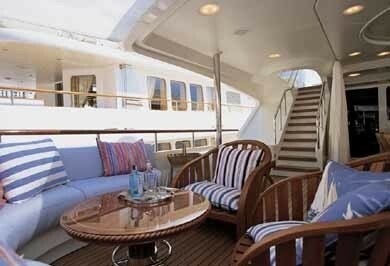 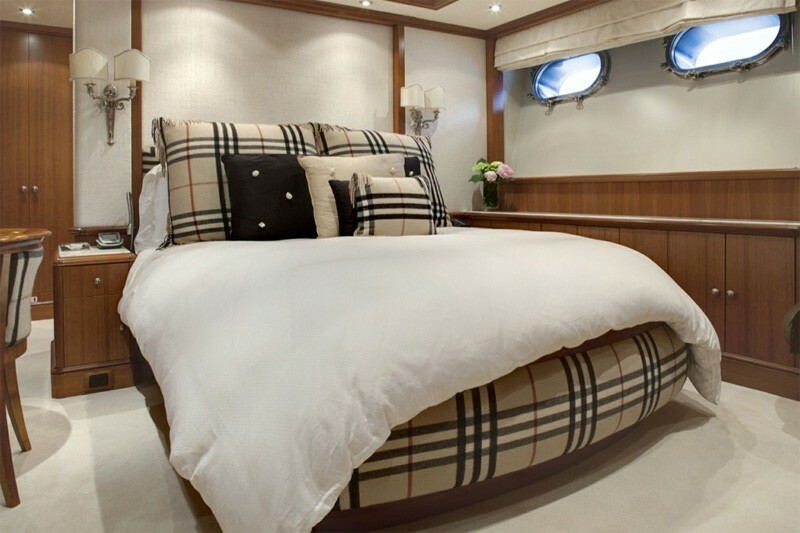 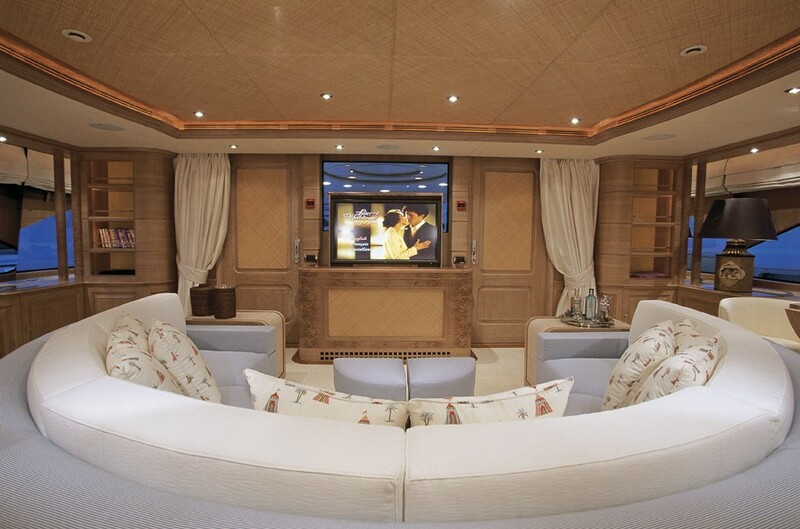 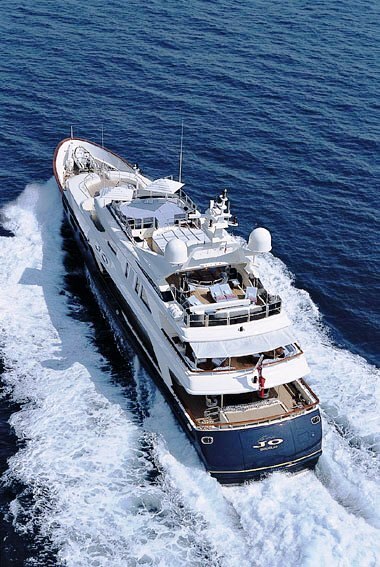 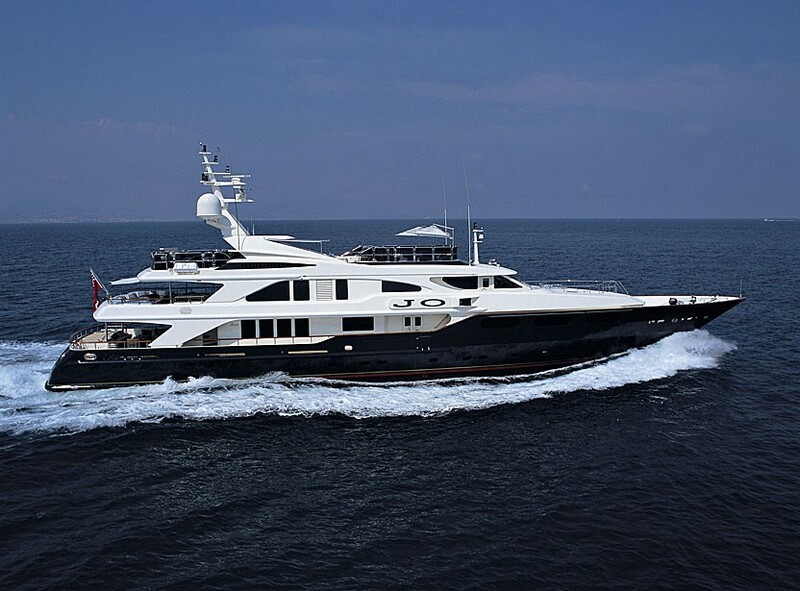 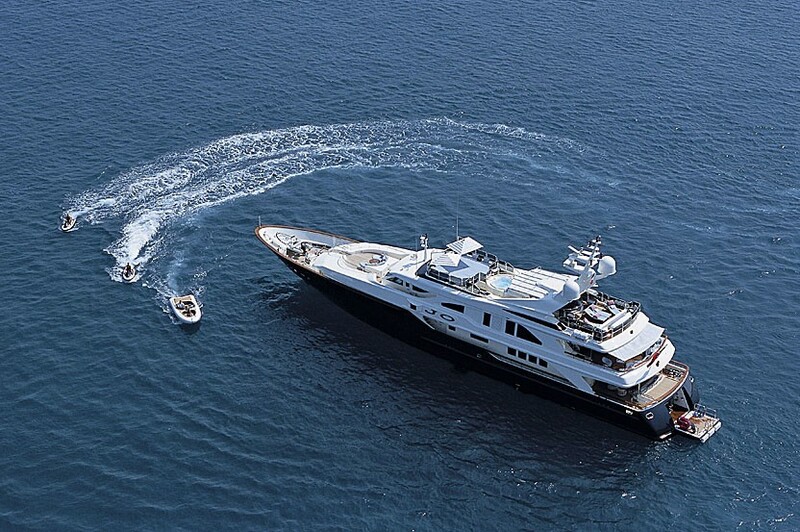 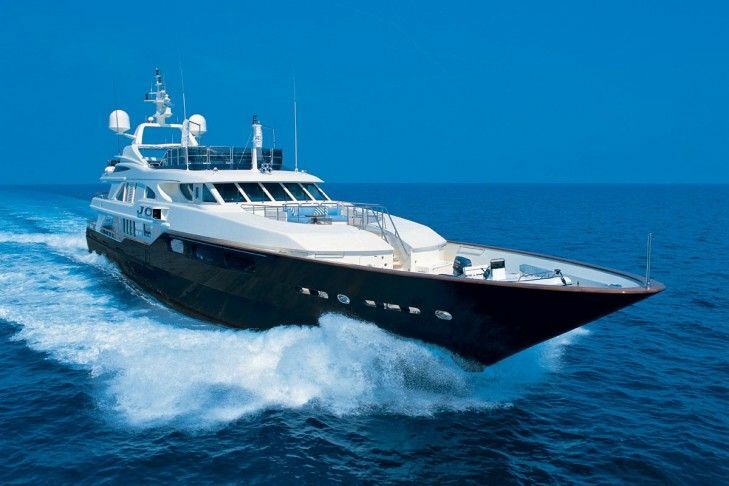 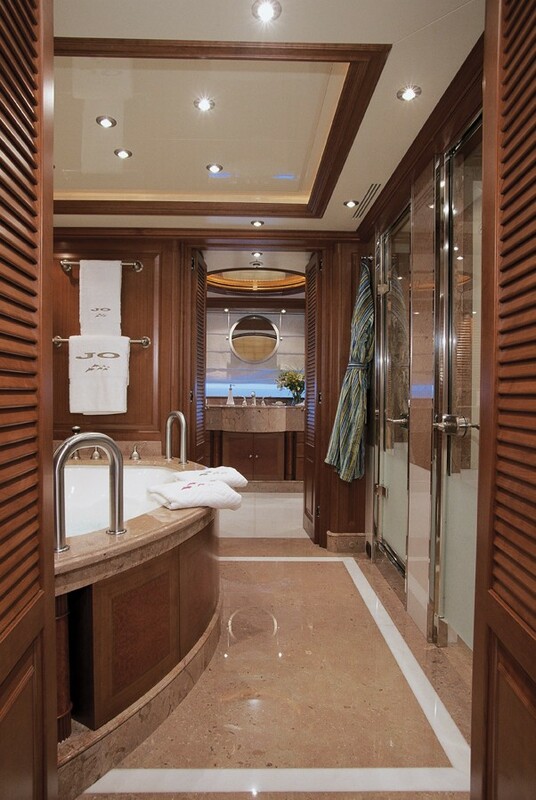 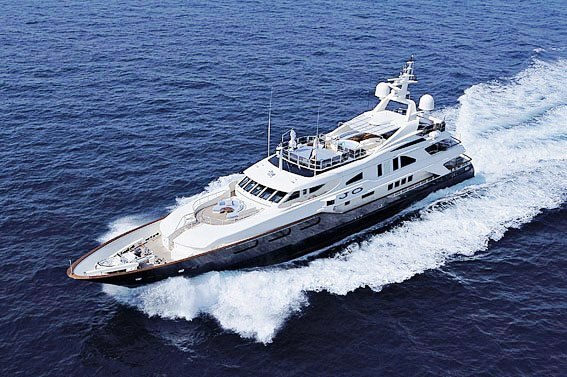 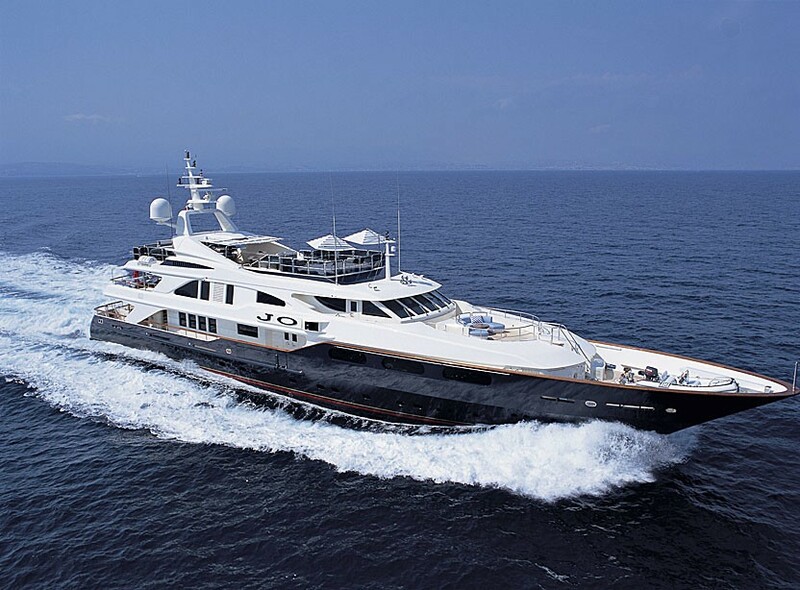 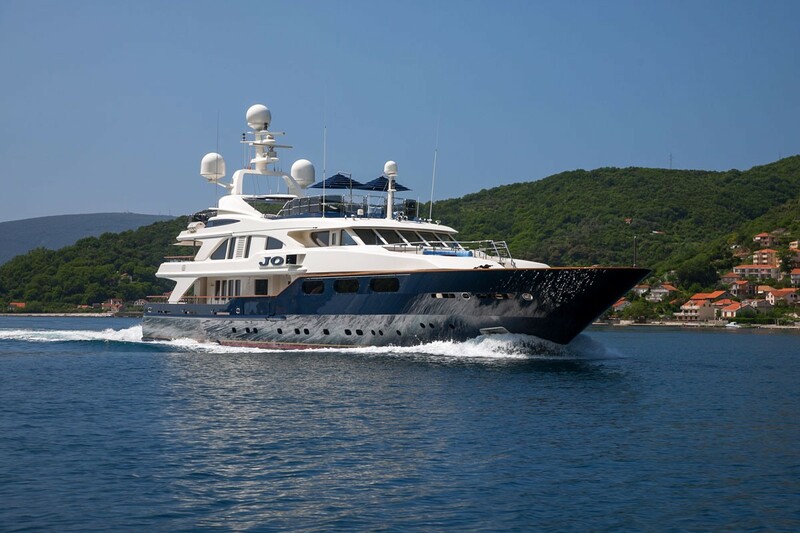 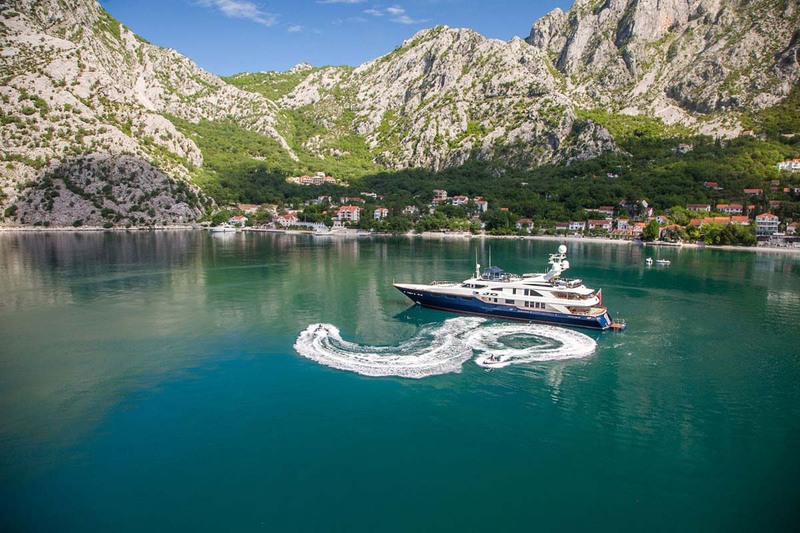 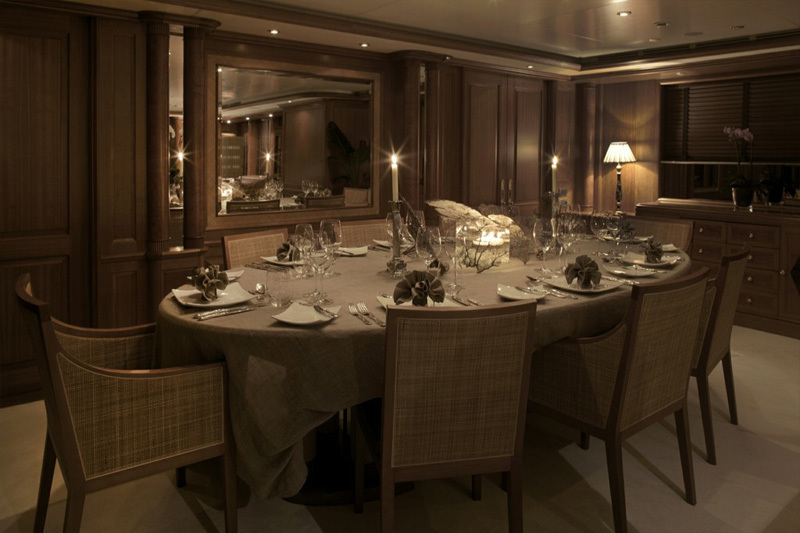 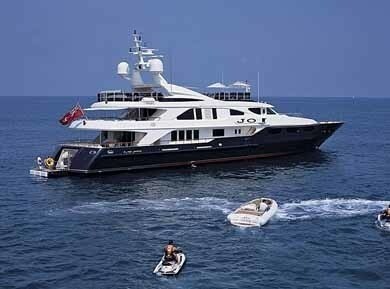 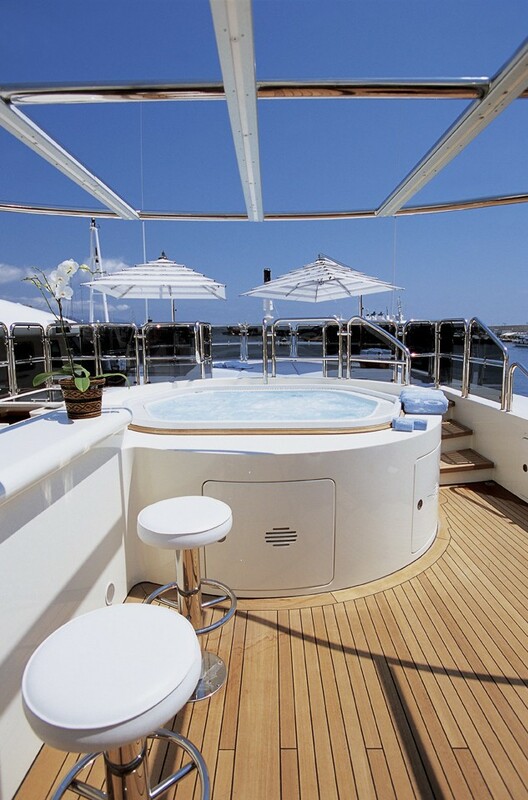 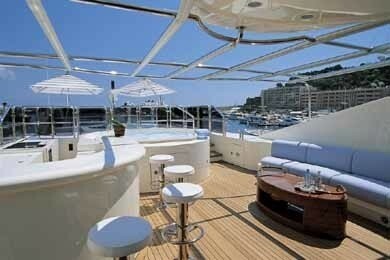 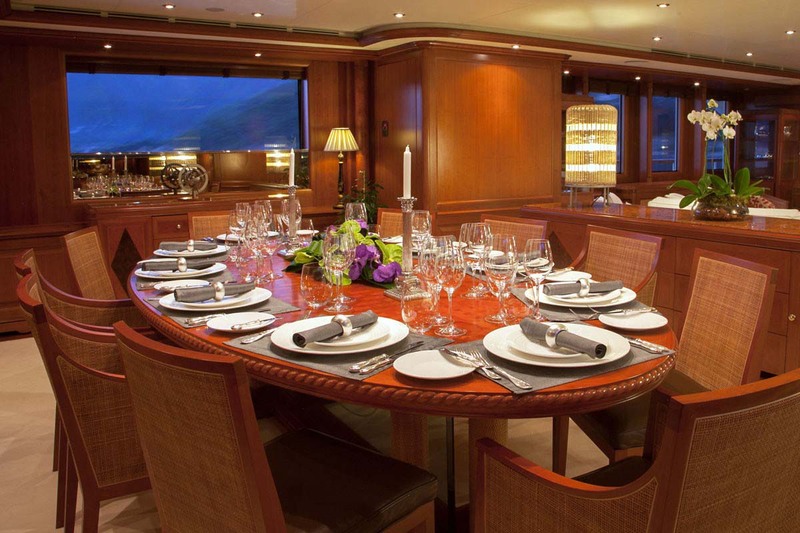 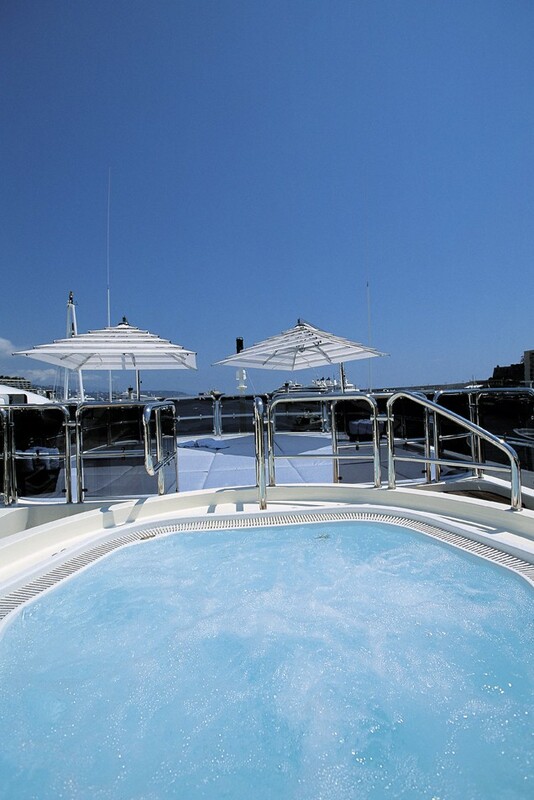 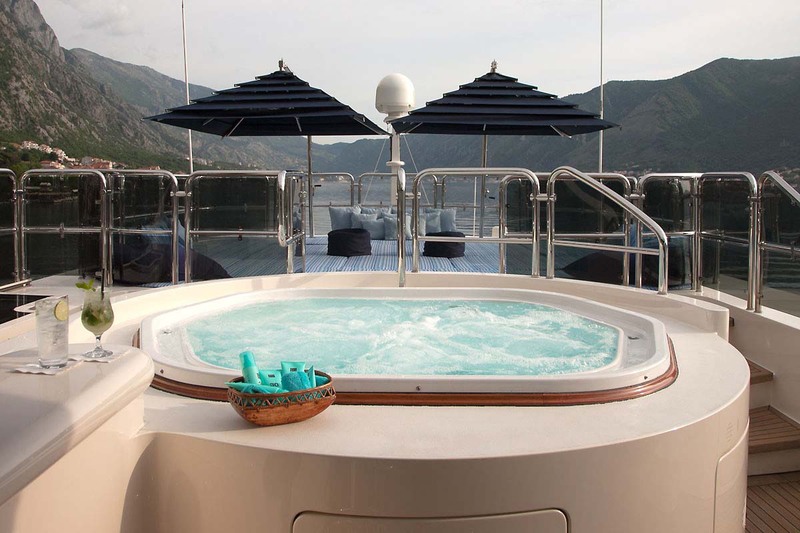 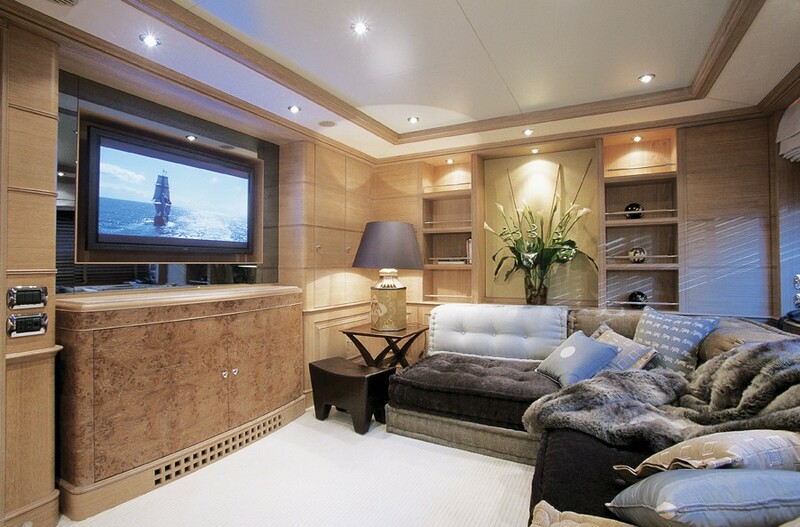 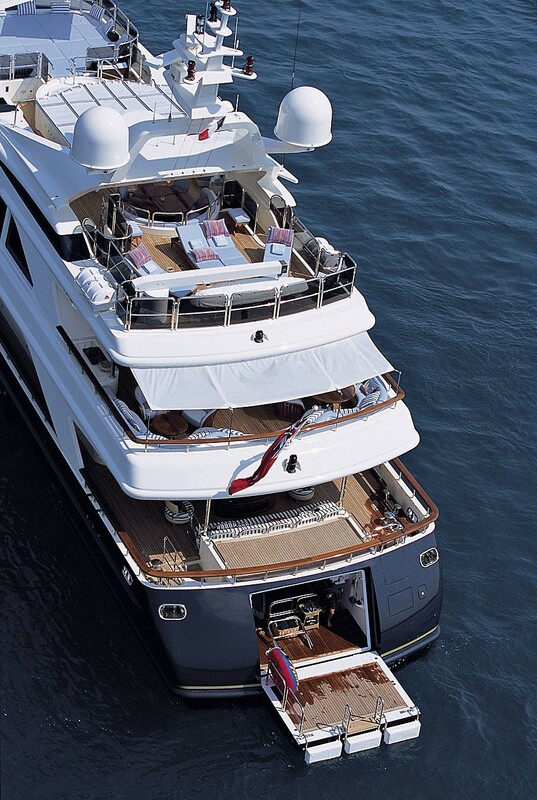 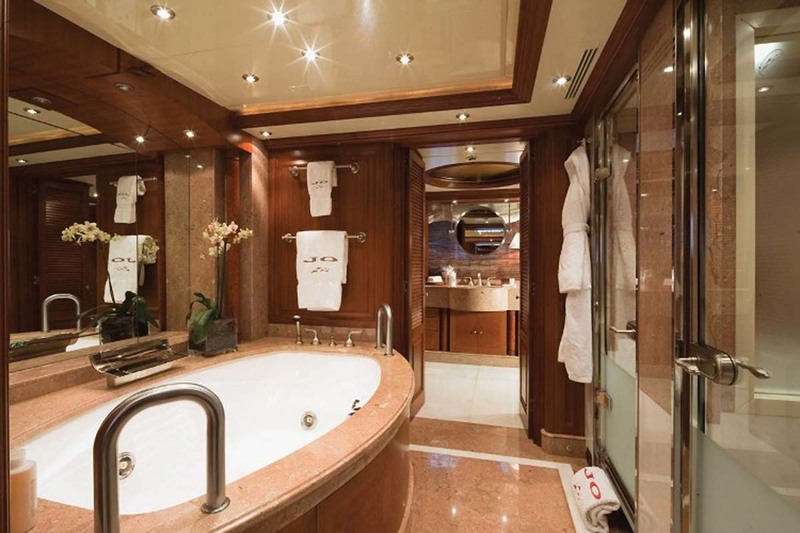 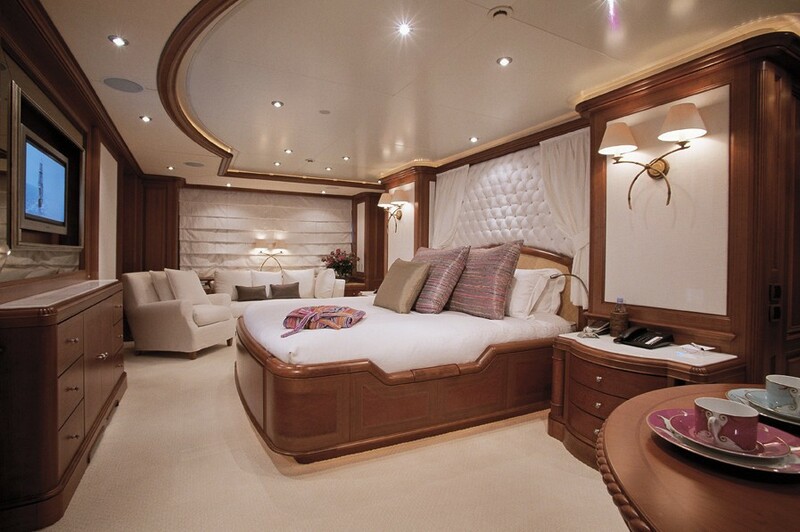 Luxury motor yacht JO can accommodate 10 to 12 guests in 5-6 cabins. 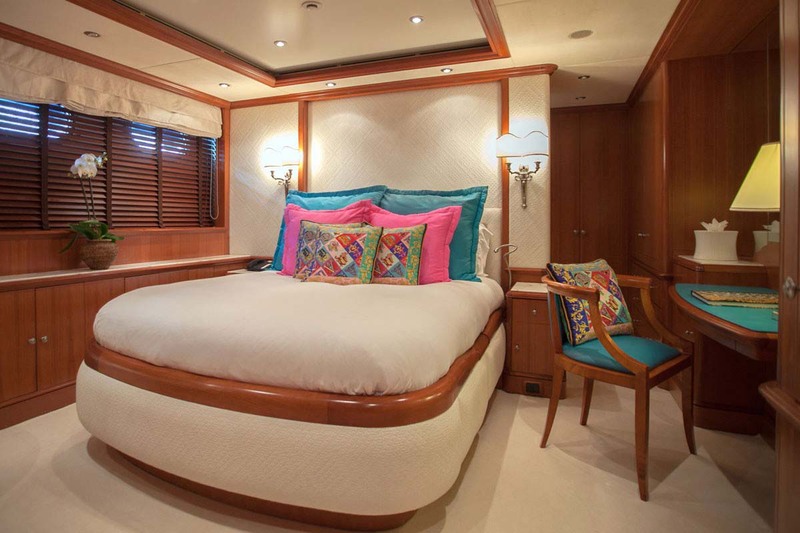 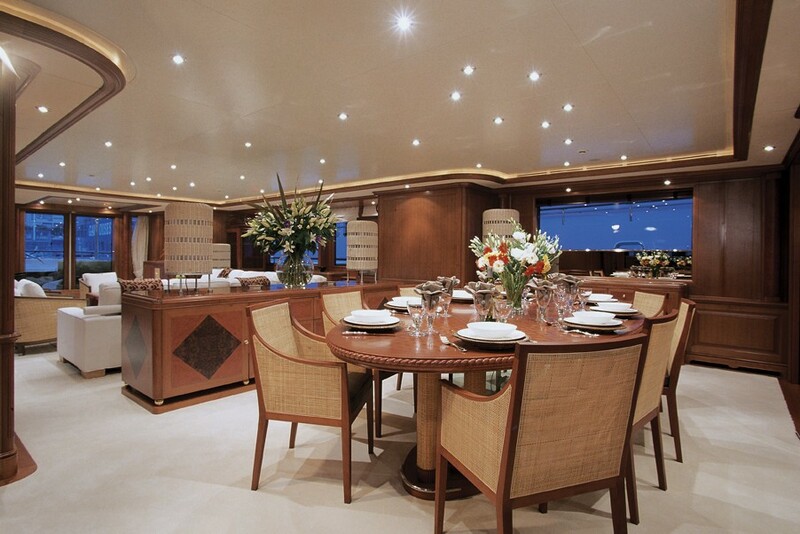 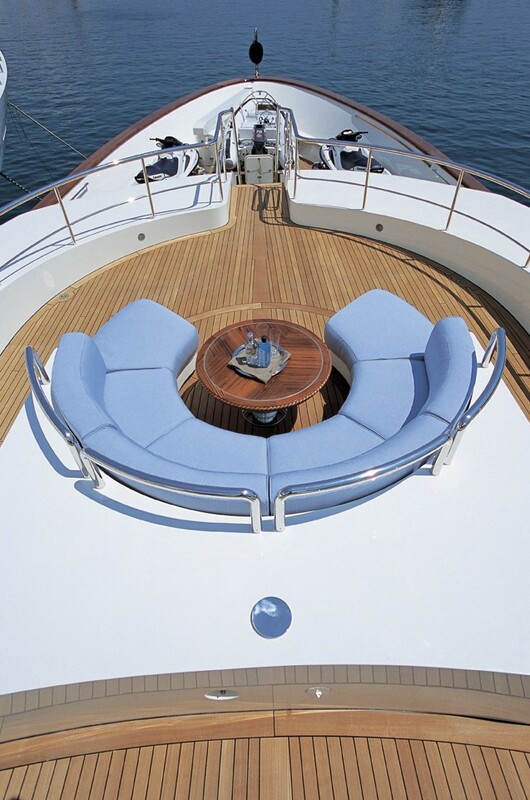 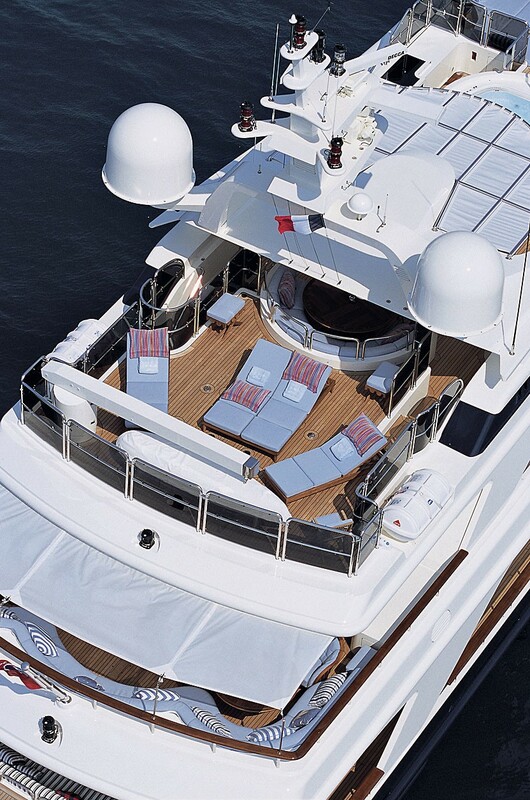 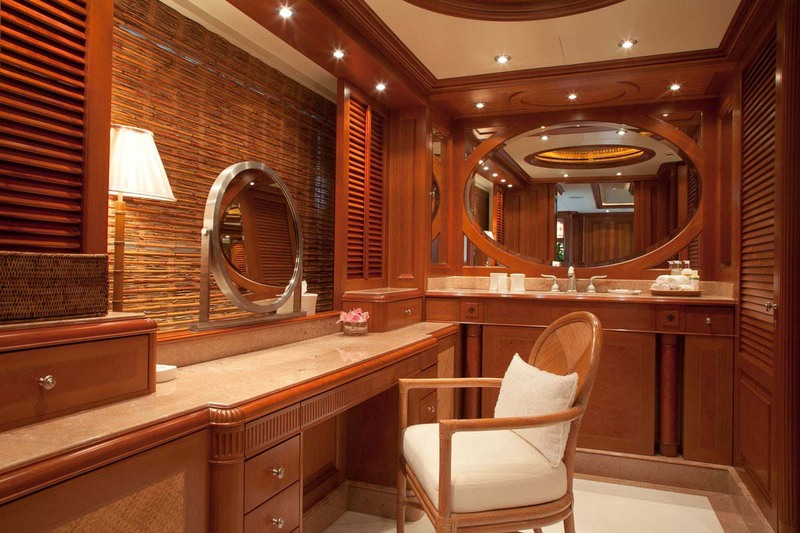 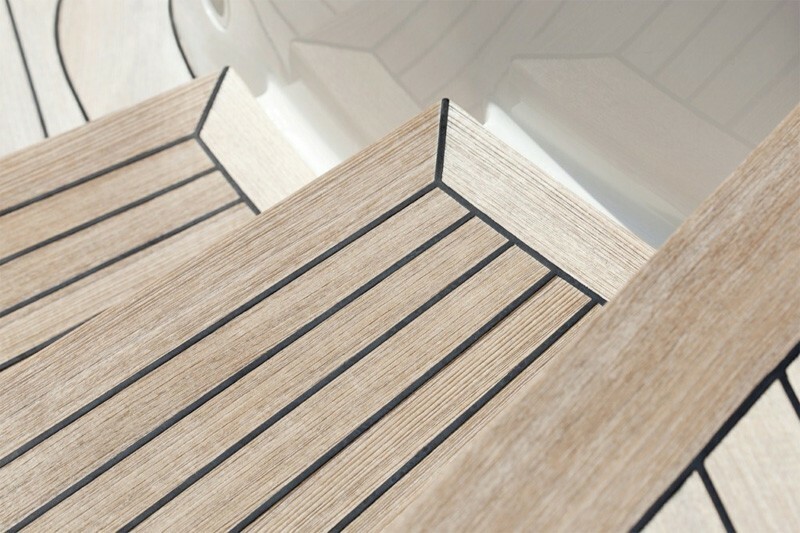 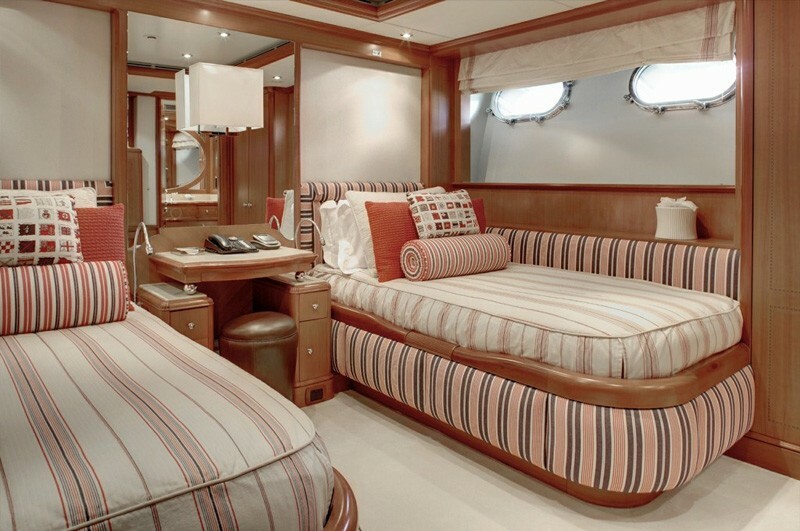 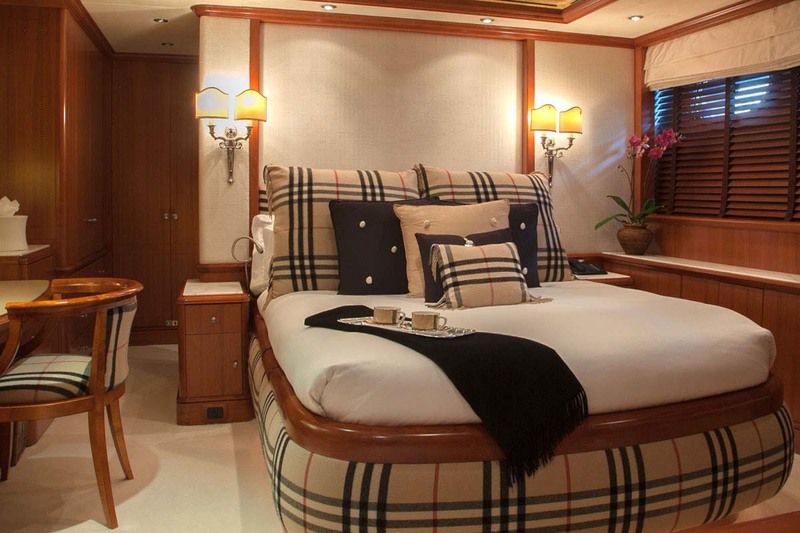 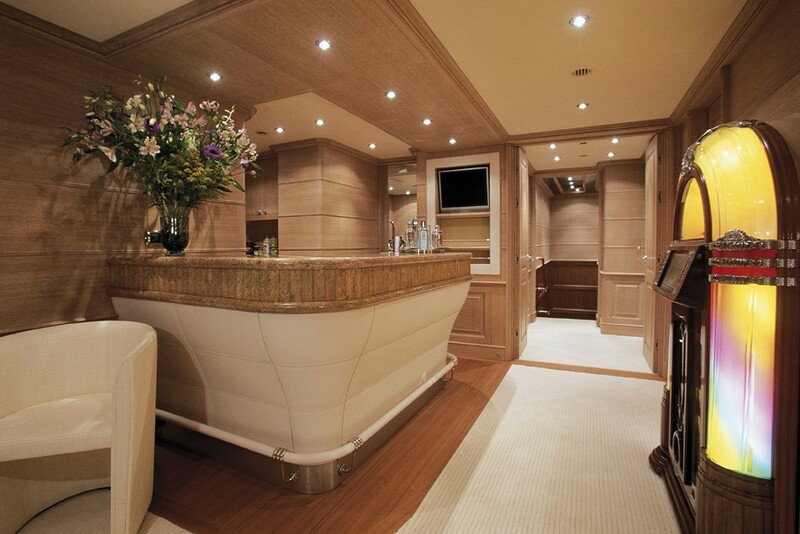 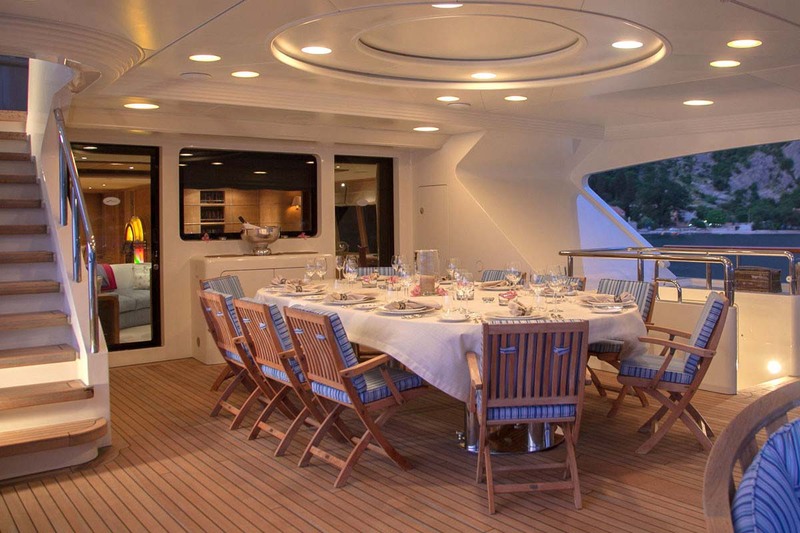 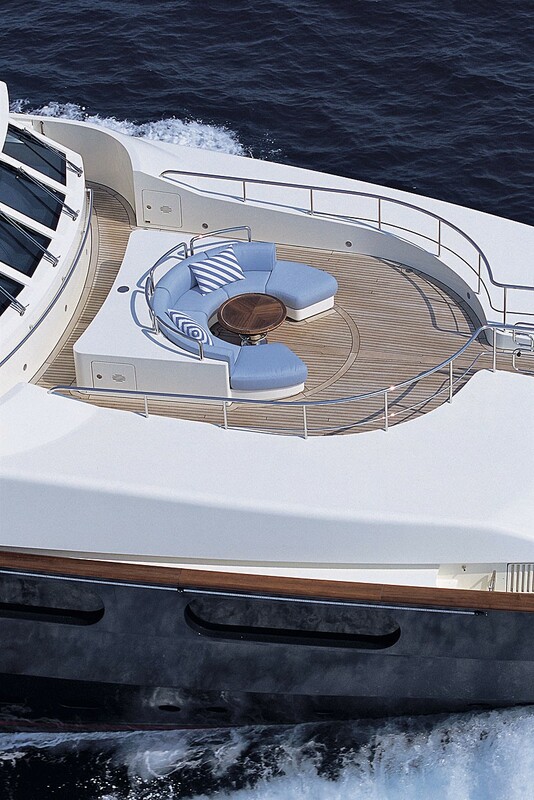 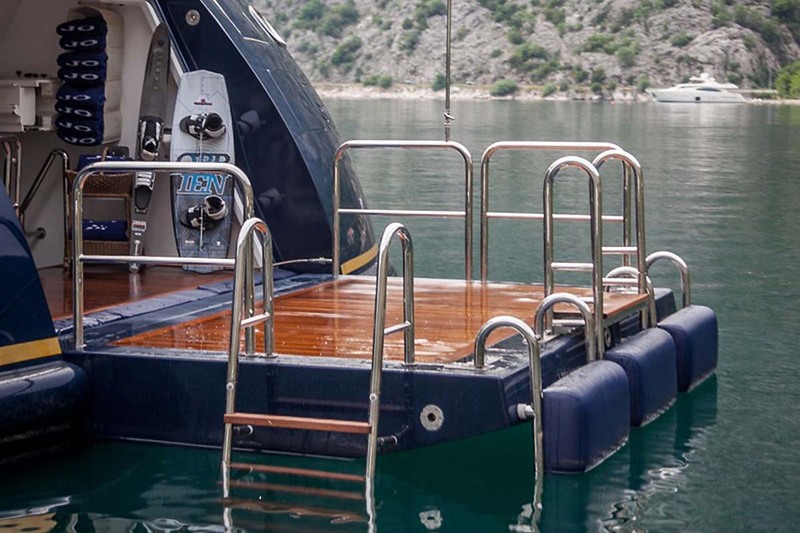 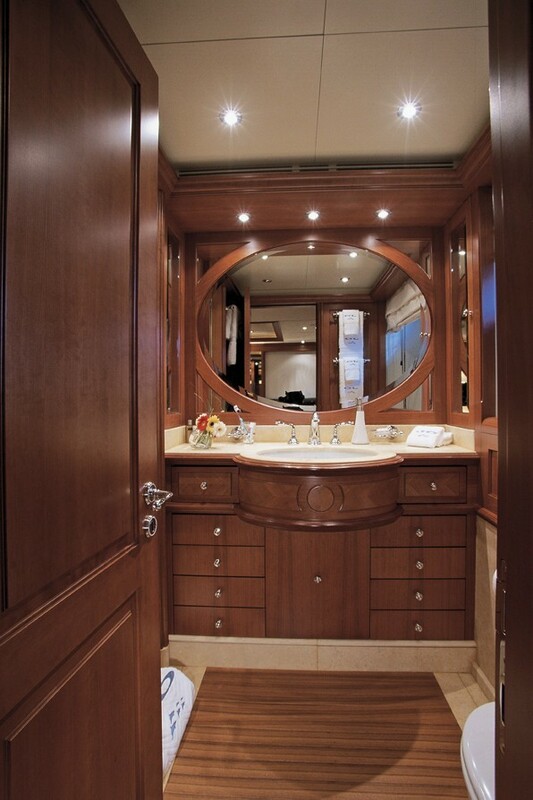 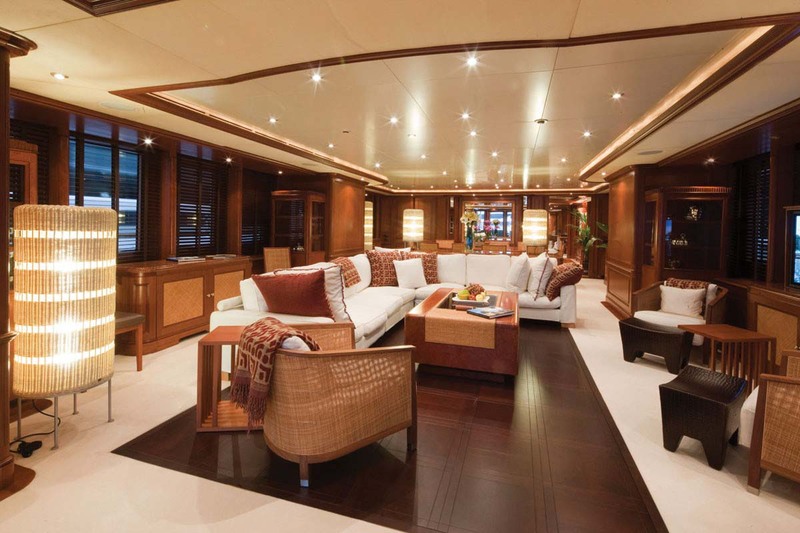 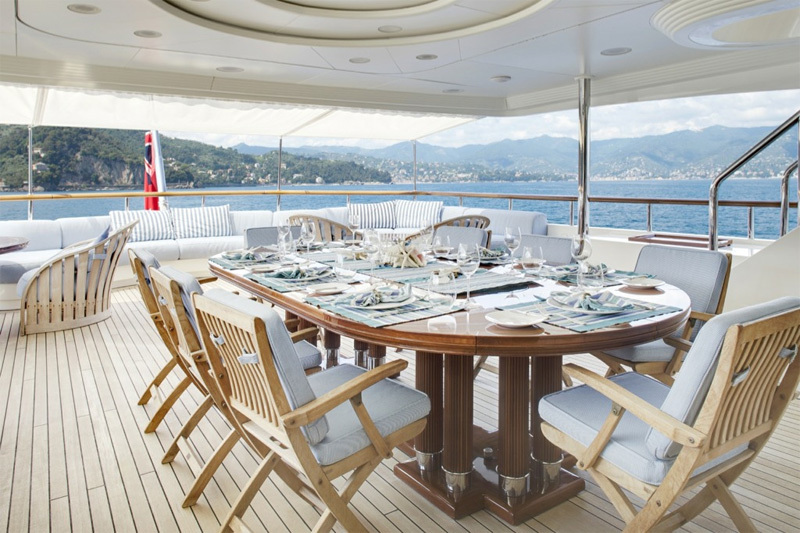 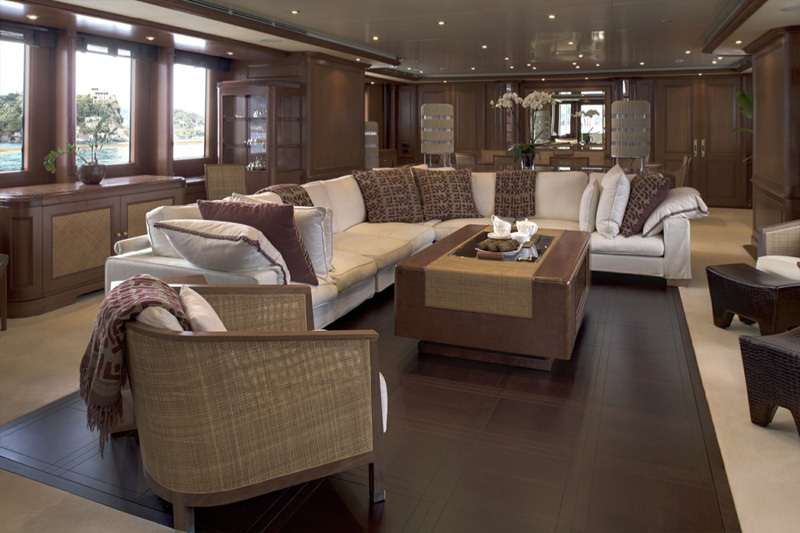 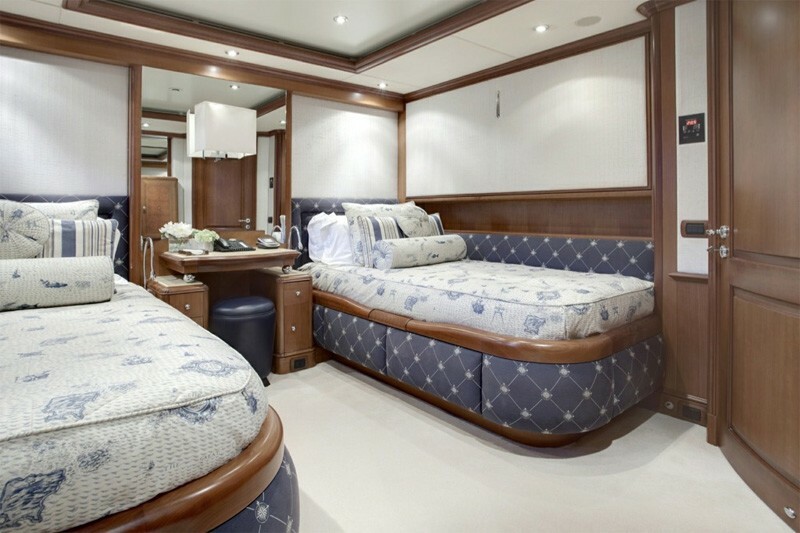 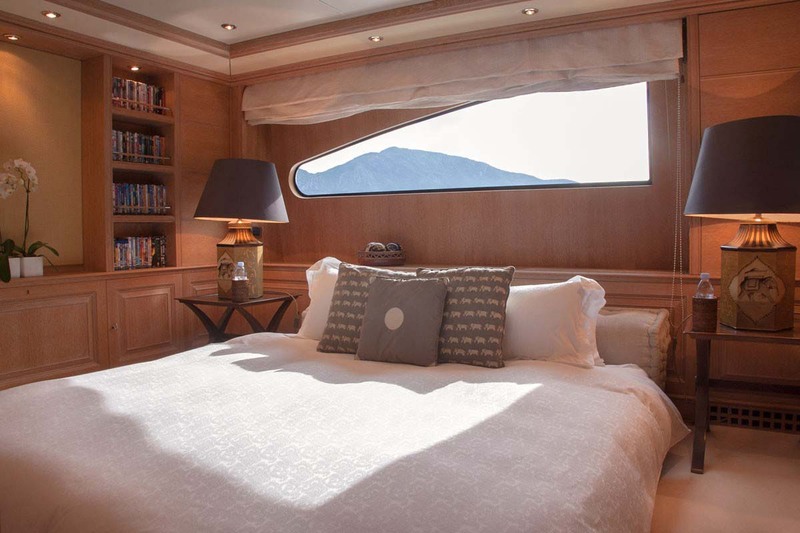 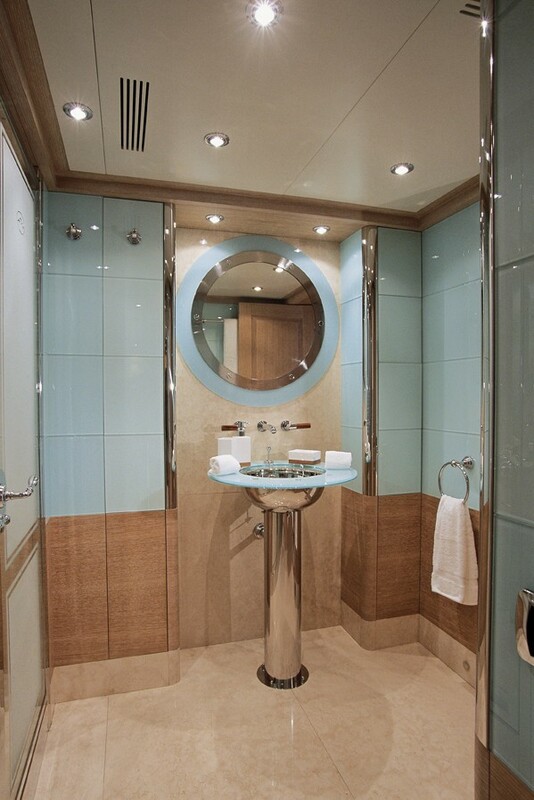 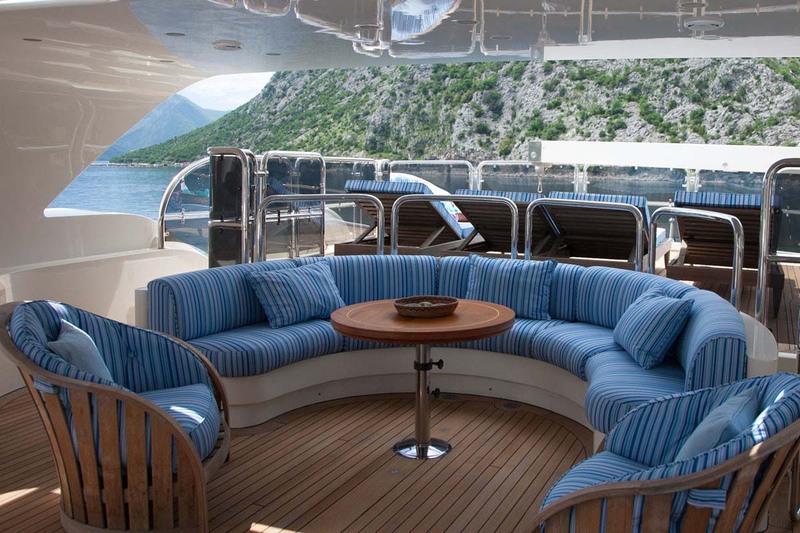 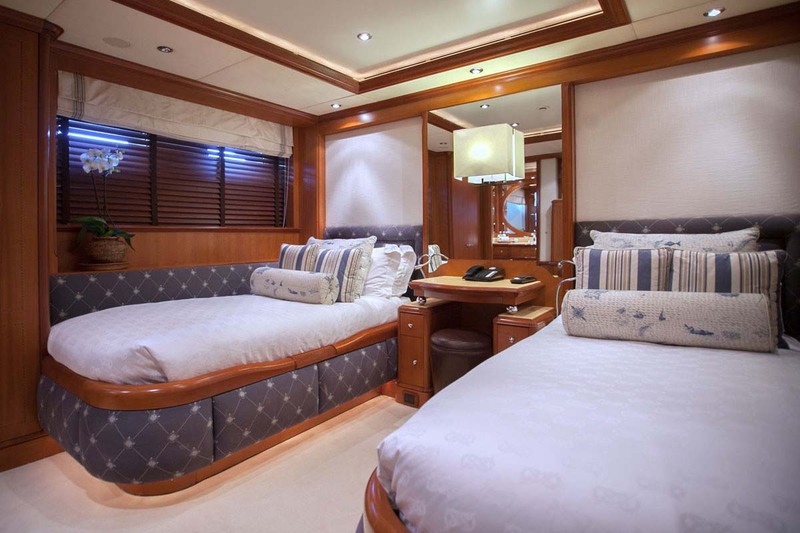 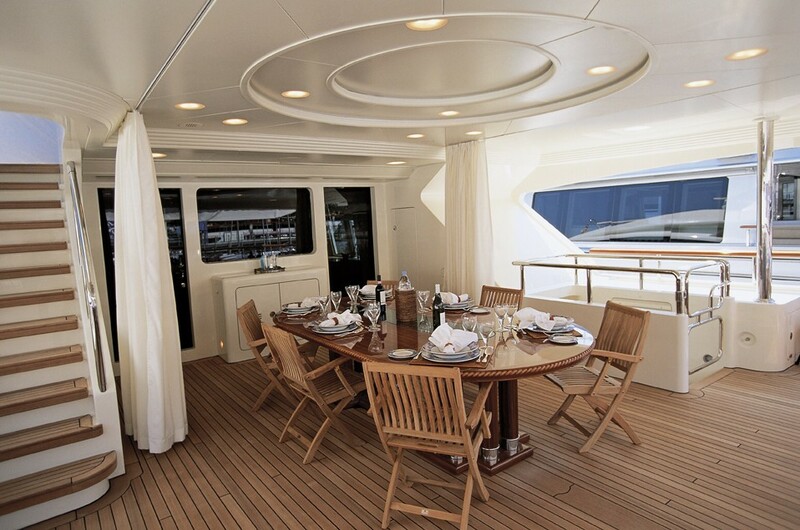 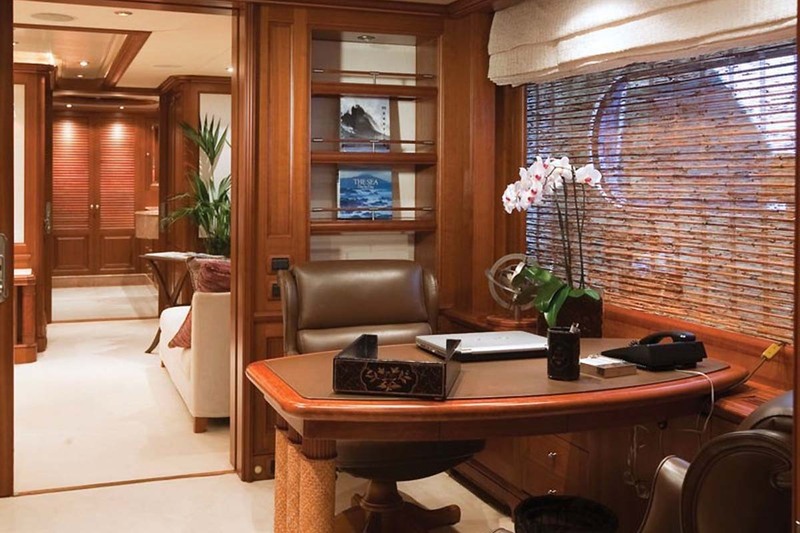 The yachts master cabin is full width of the beam and is located on her main deck. 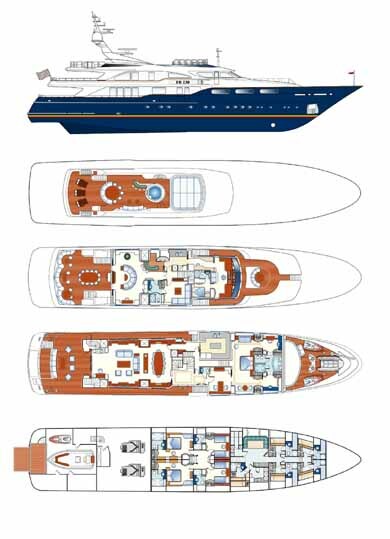 There are also two double cabins and two twin cabins (with additional Pullman bunk beds) on her lower deck. 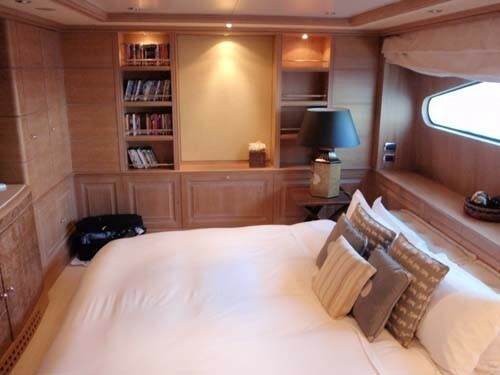 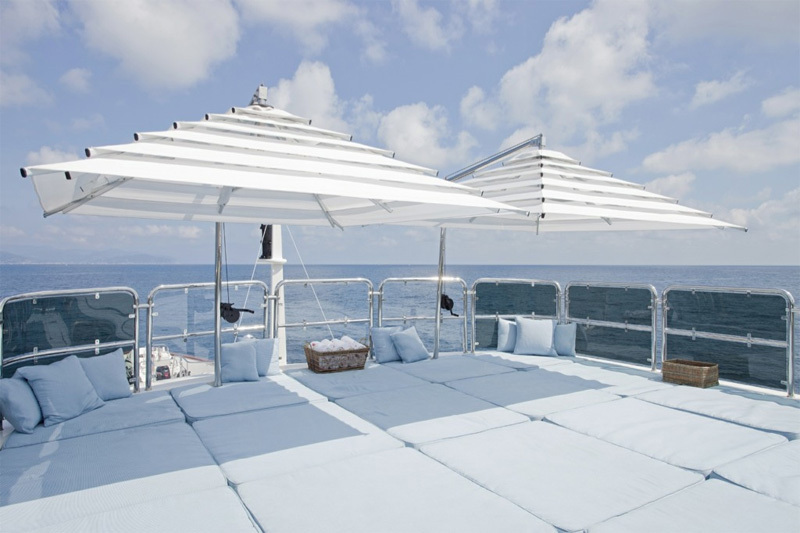 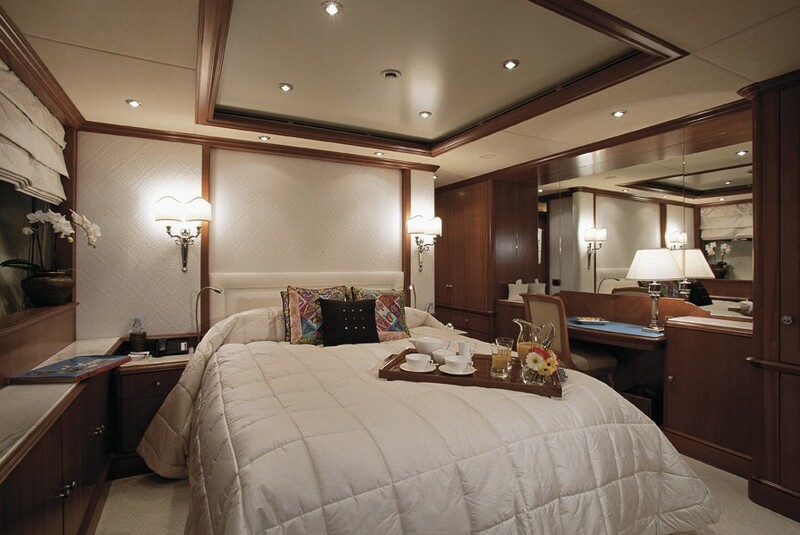 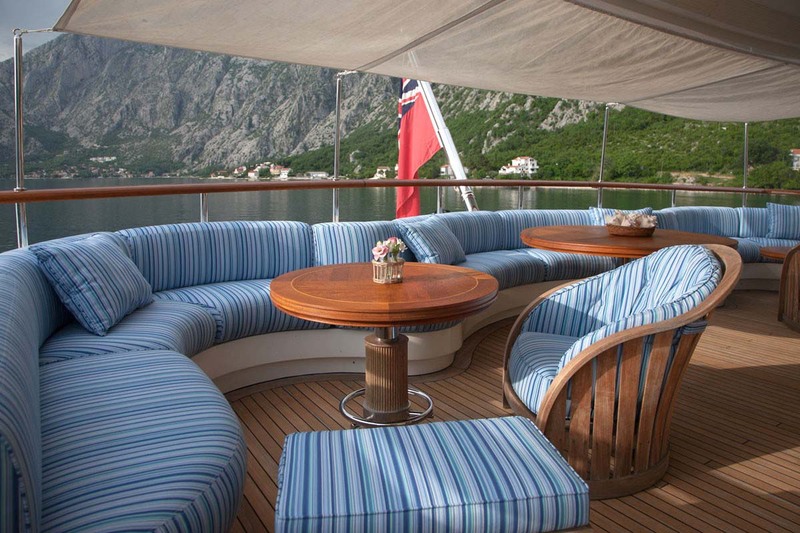 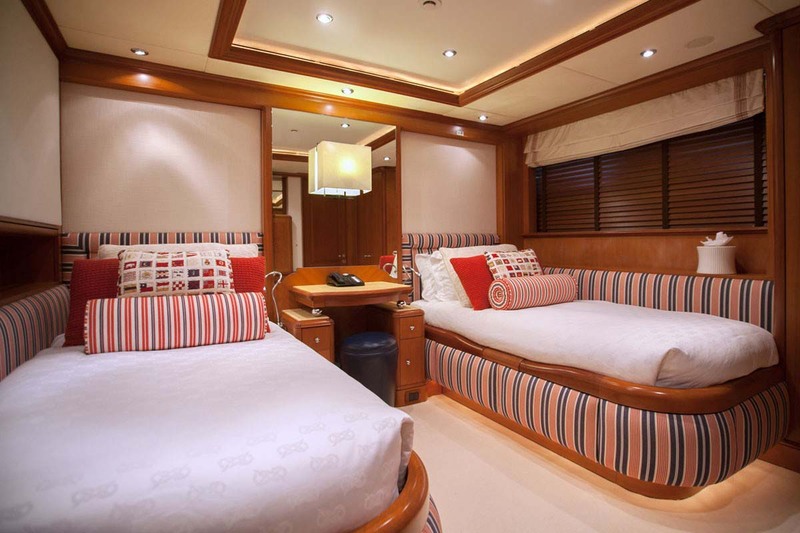 Jo also has a multi-purpose cabin on her upper deck with convertible twin sofa beds, suitable for children or a nanny.